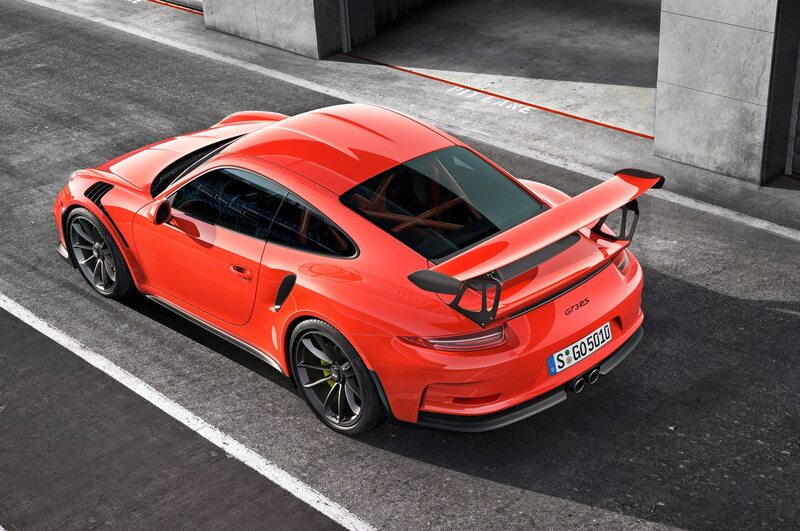 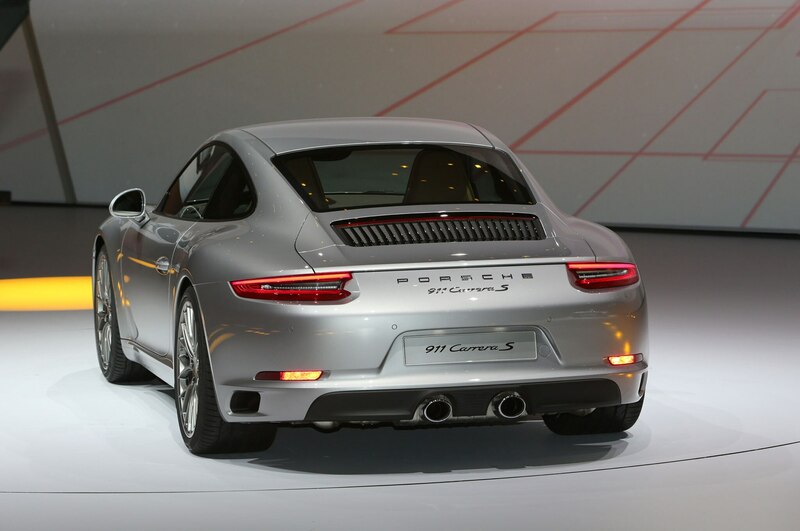 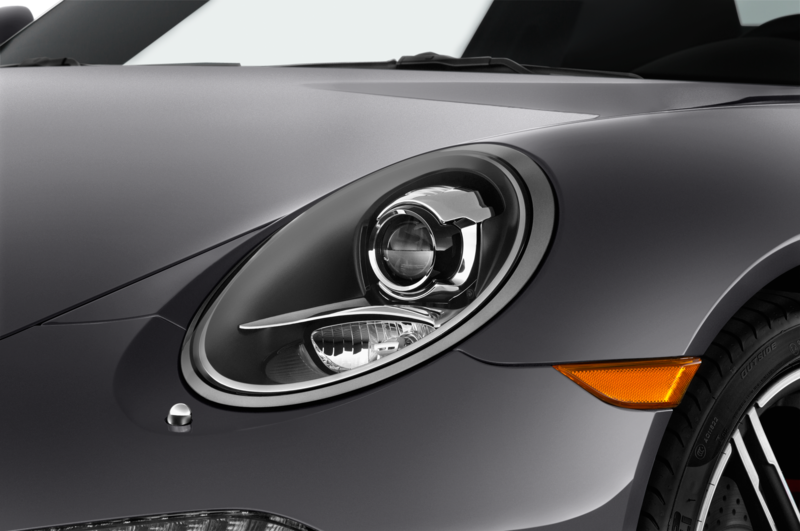 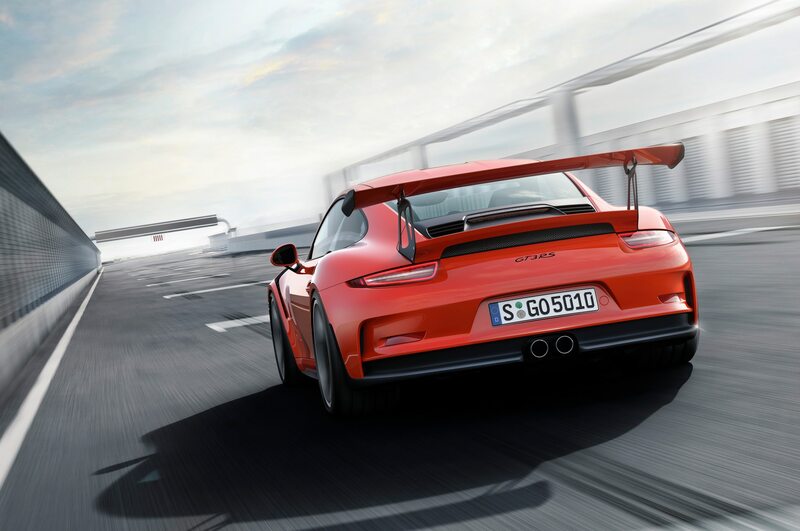 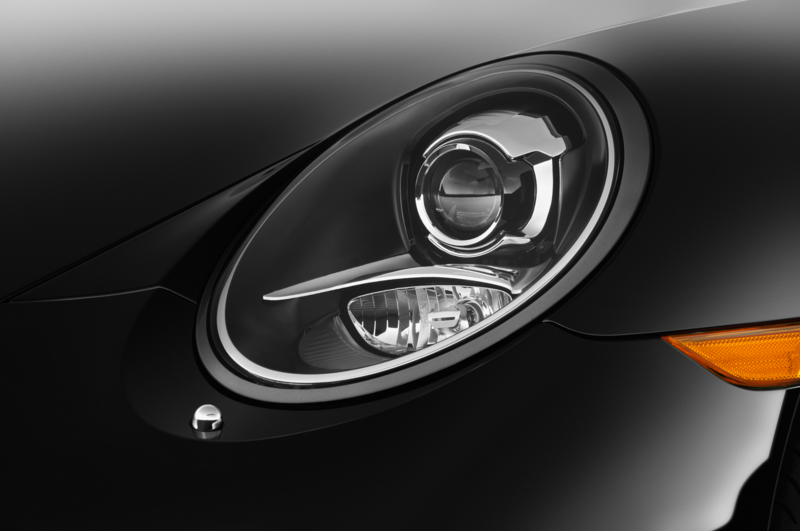 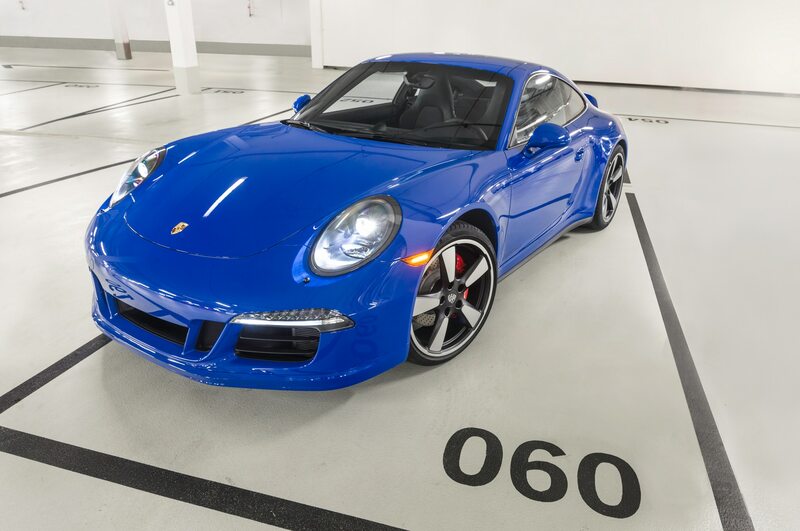 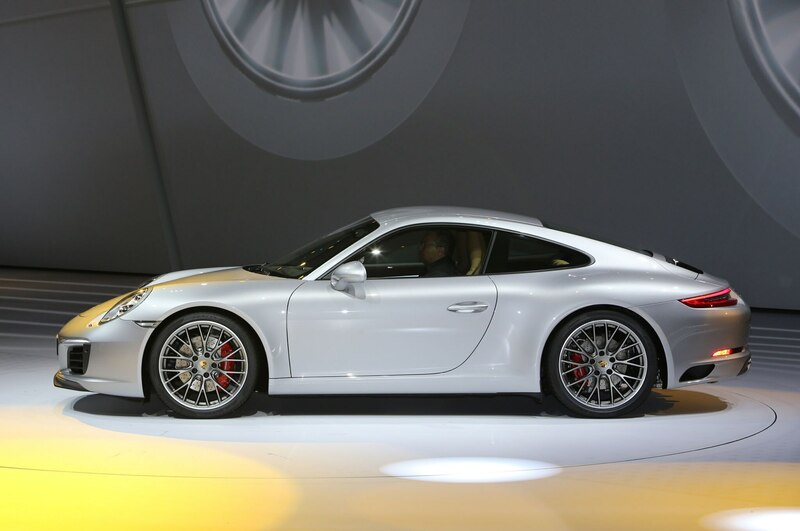 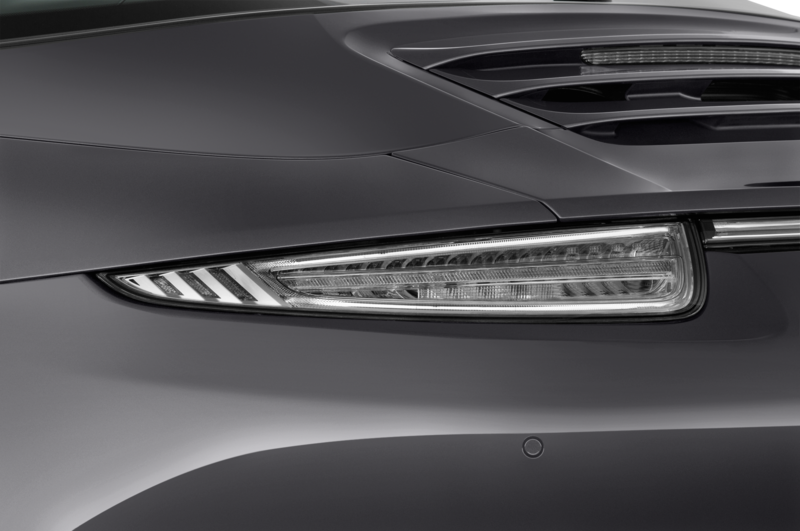 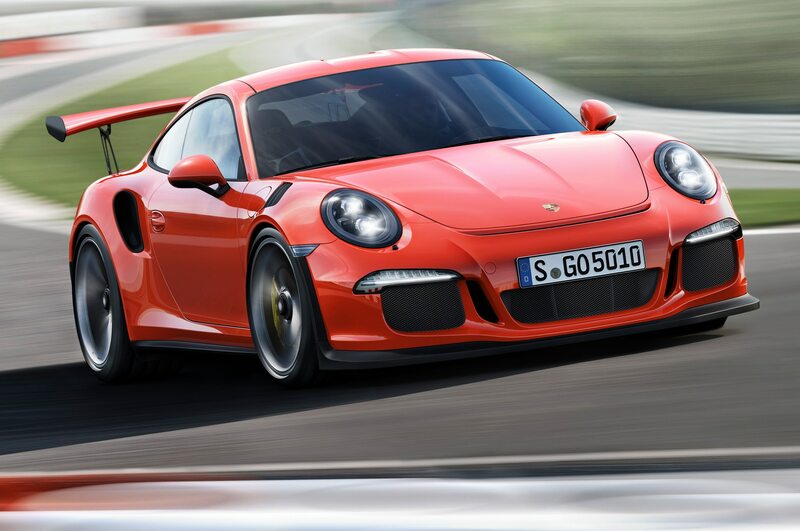 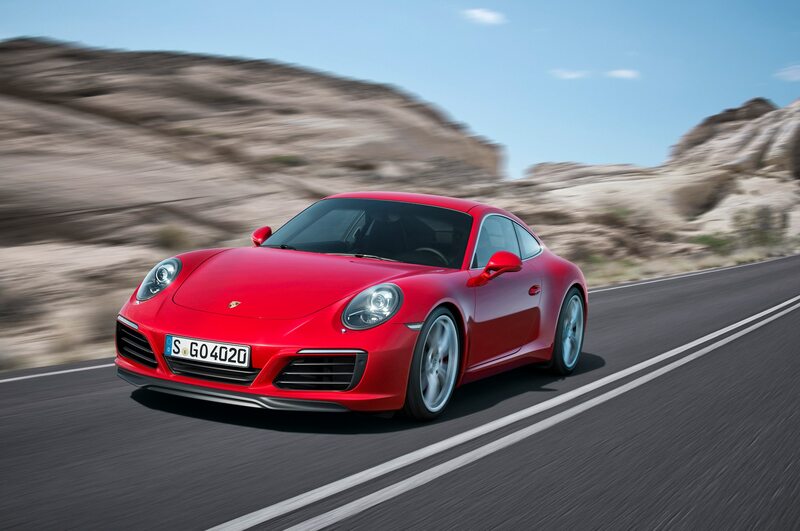 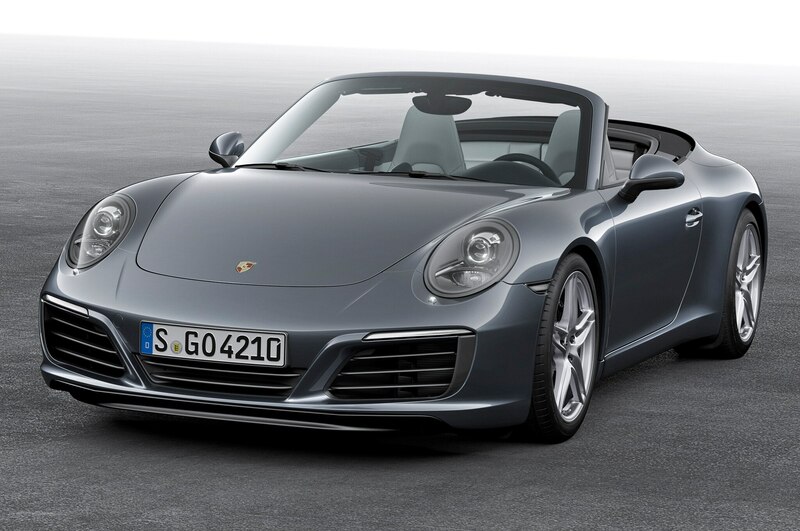 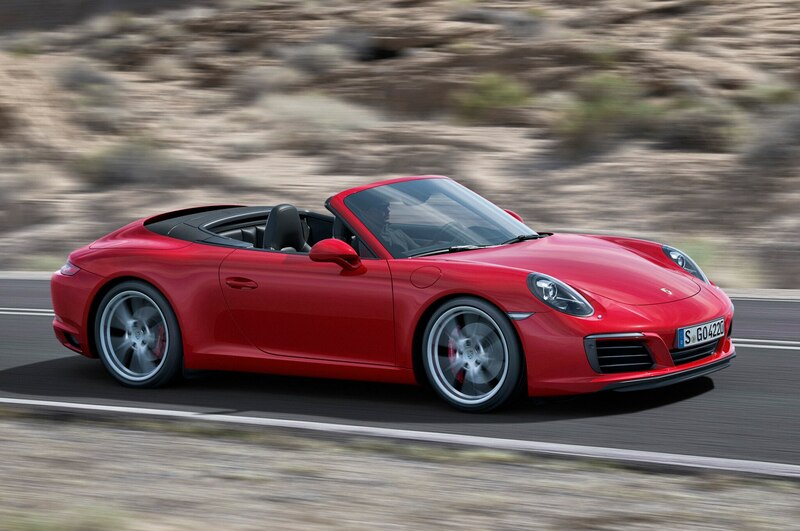 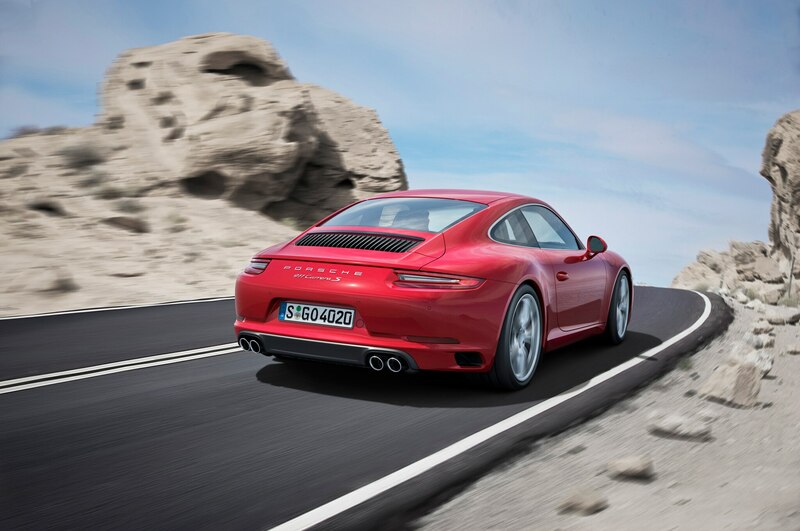 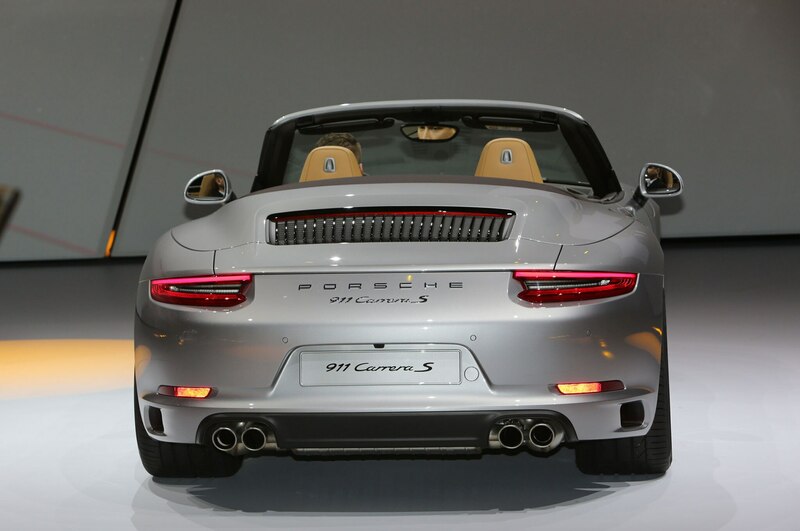 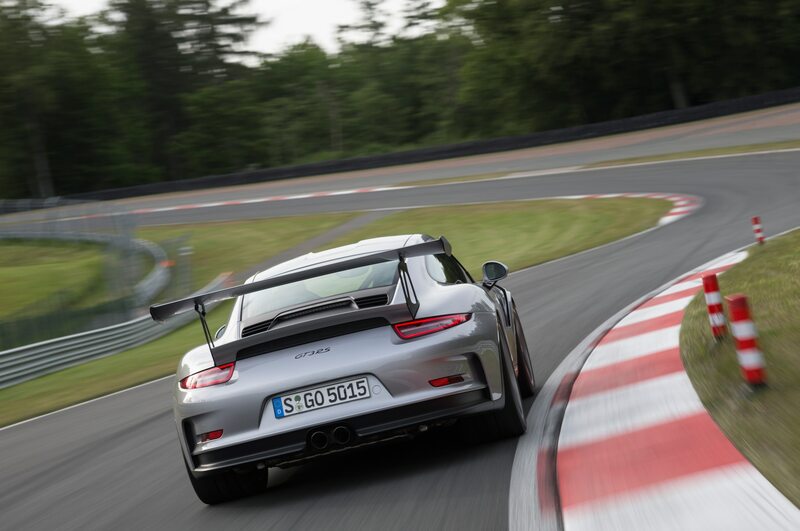 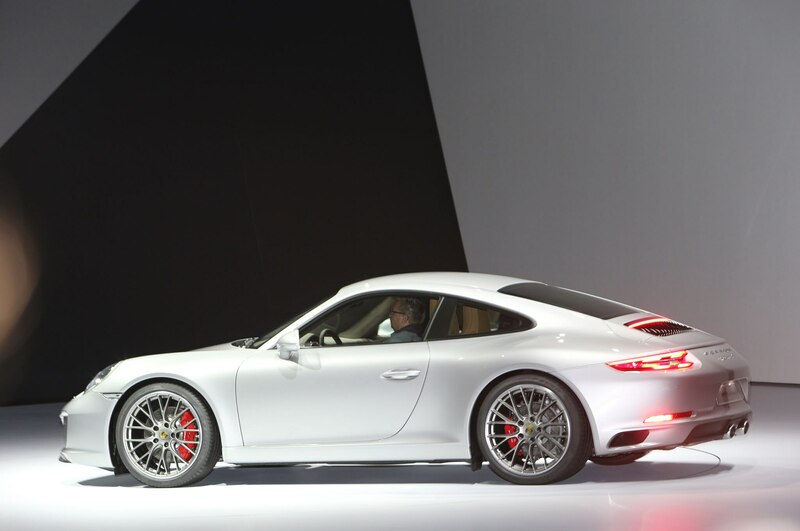 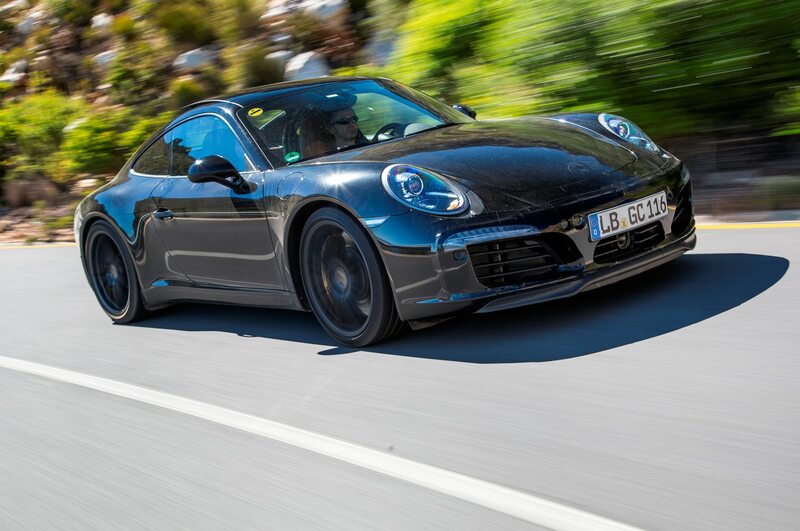 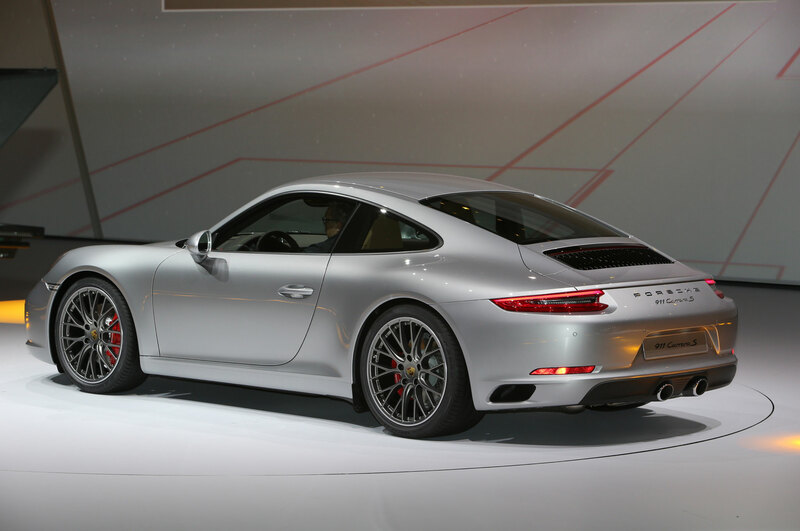 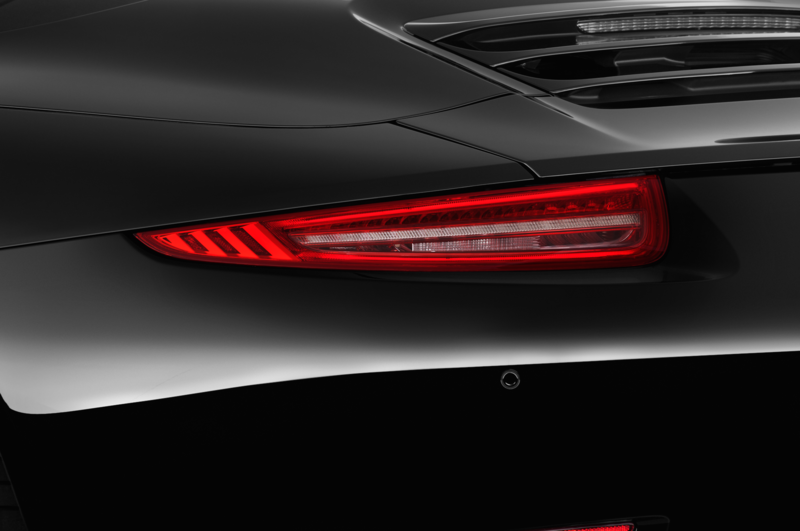 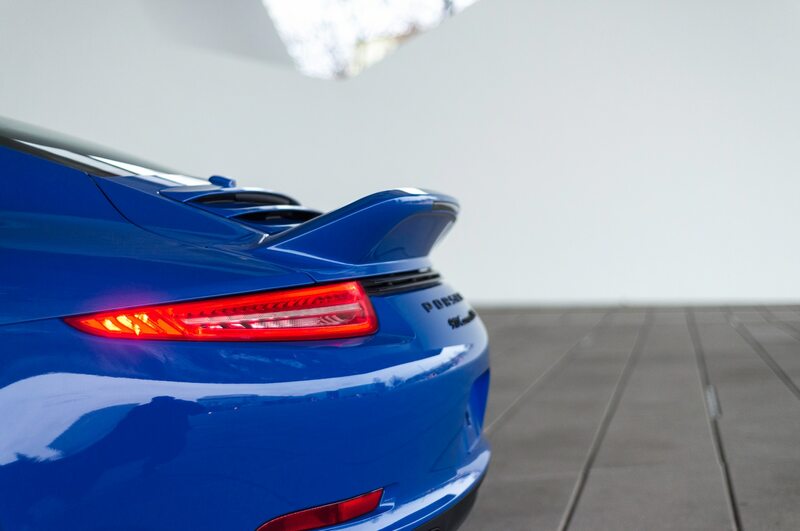 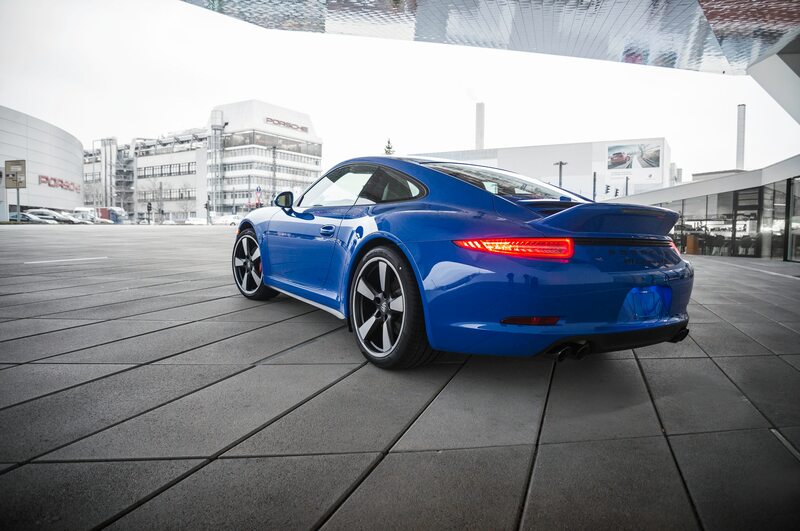 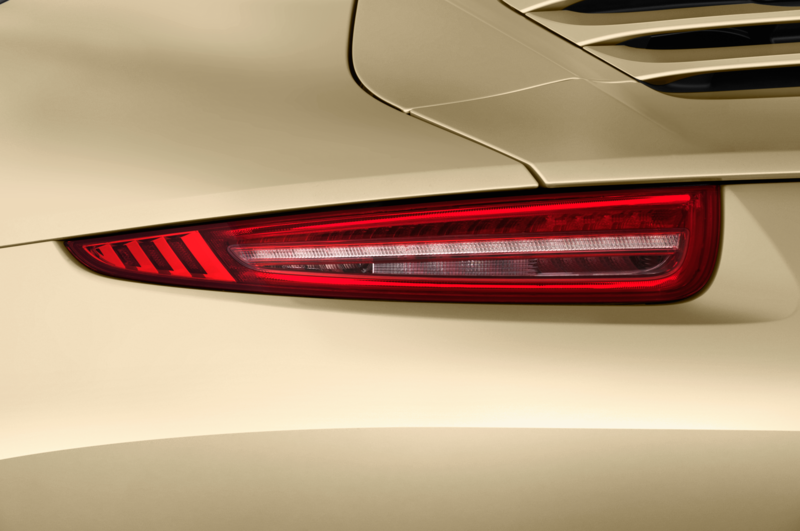 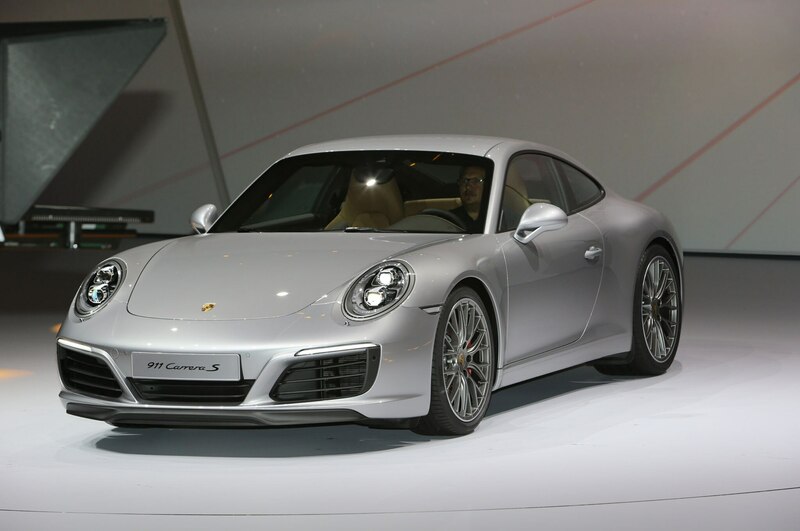 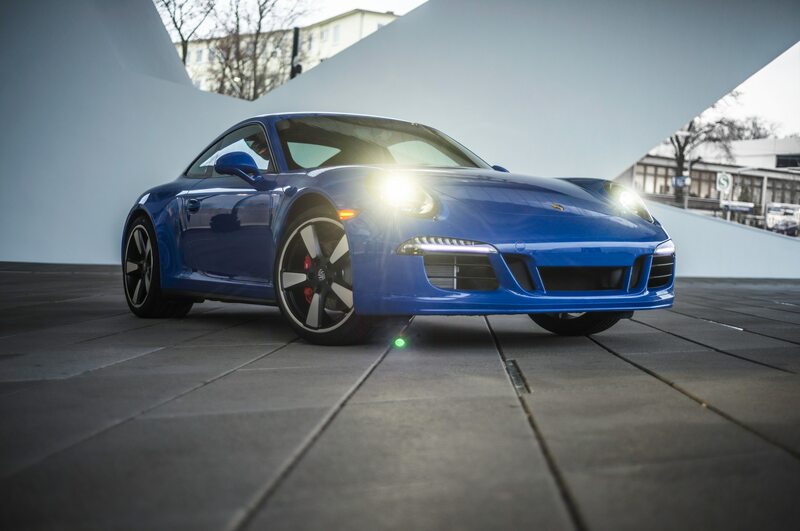 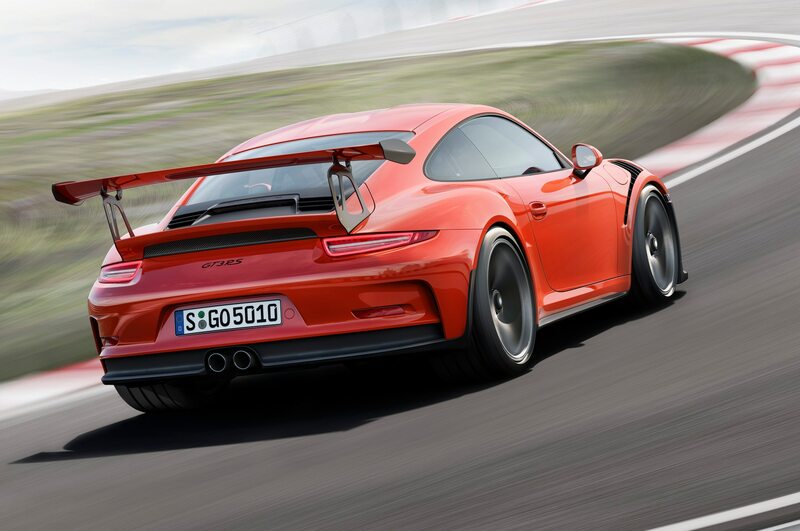 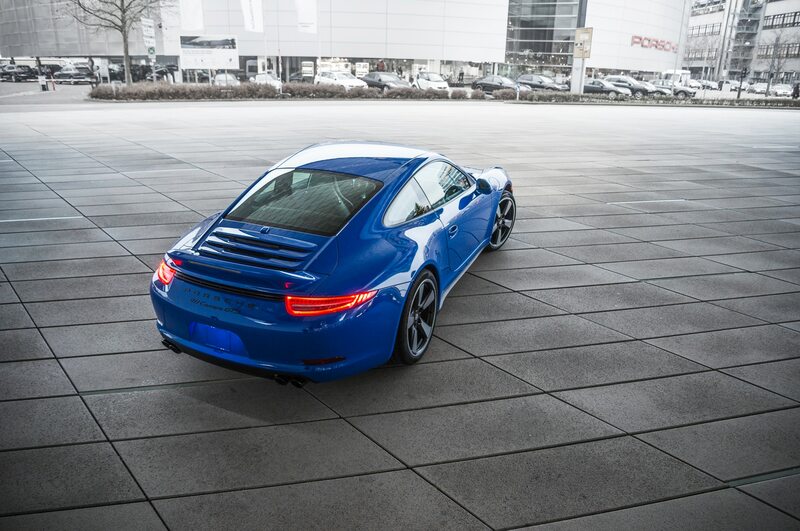 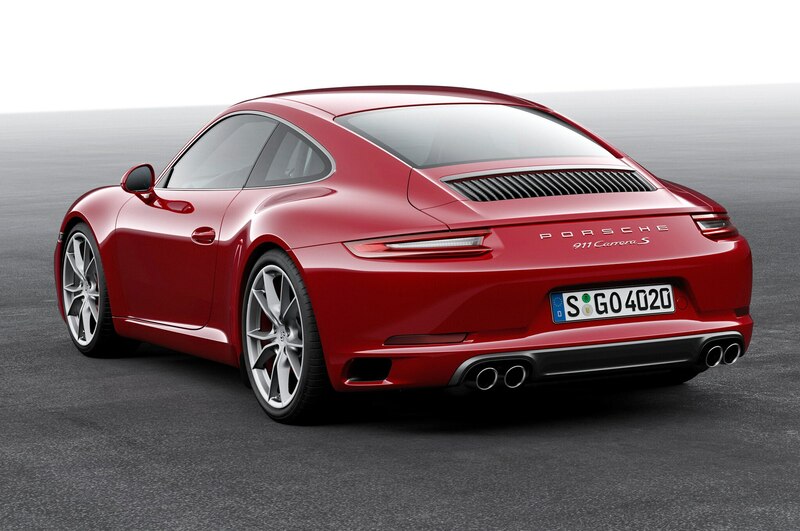 991.2 speeds into the turbocharged future. 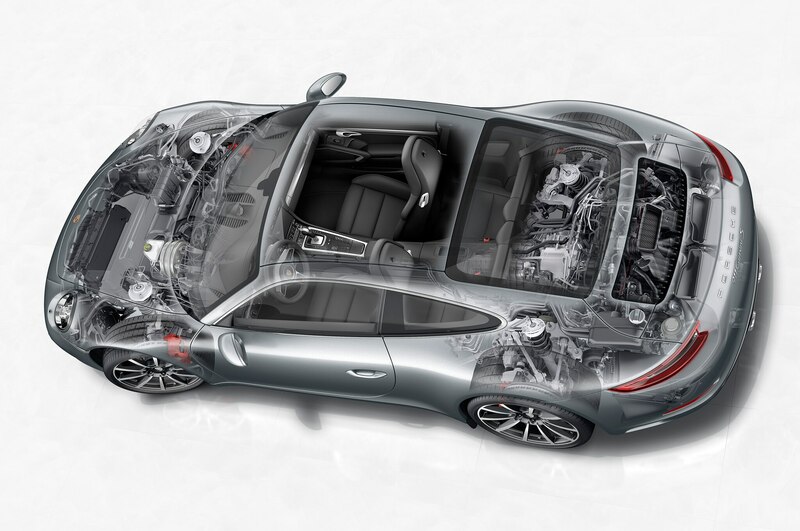 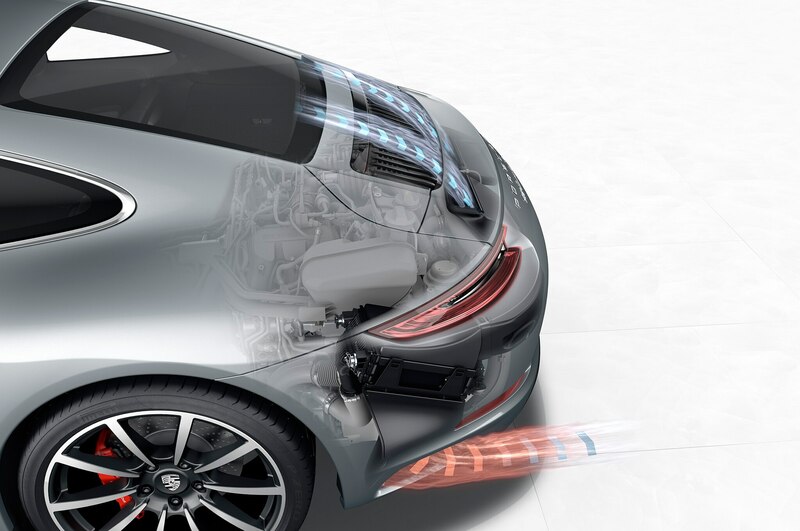 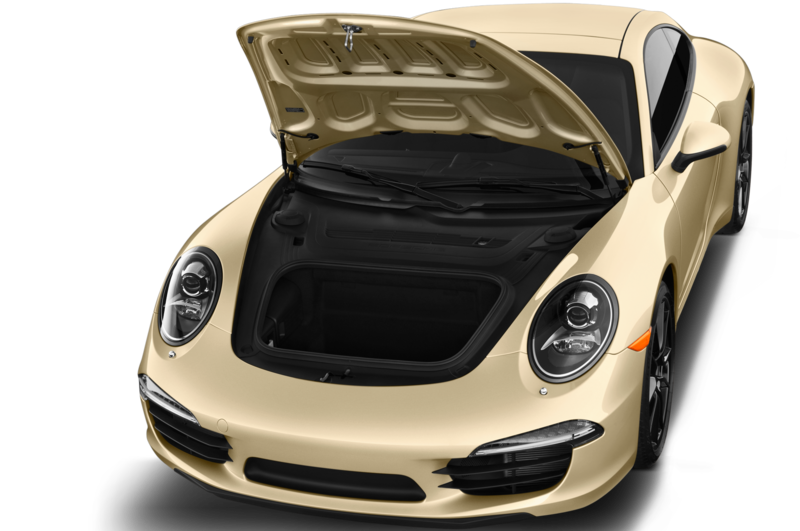 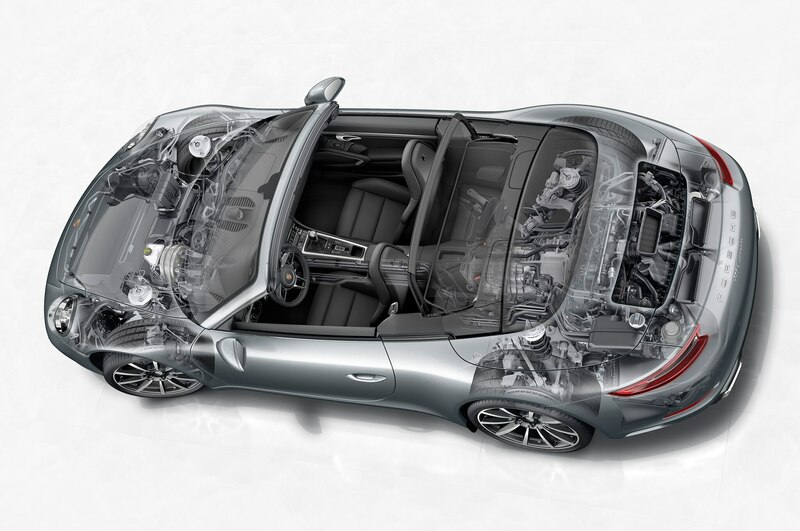 Porsche engineers explained — with a bit of tongue-in-cheek self-awareness –how reducing the 2017 Porsche 911’s engine displacement from 3.4/3.8 liters in the Carrera and Carrera S to 3.0 with their new, 9A2-series flat sixes represents “right-sizing” rather than “down-sizing.” Of course, our cynical side wonders how they’ll reconcile this down the road when the boxers inevitably receive more displacement as a well-touted upgrade. 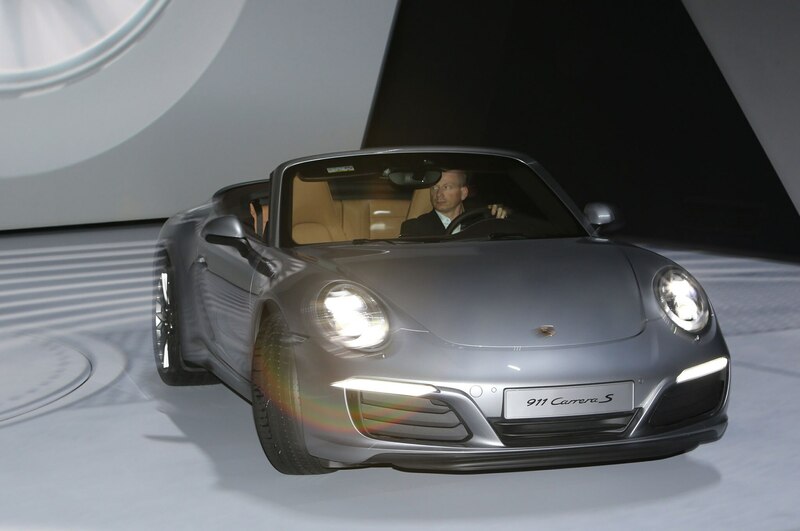 File this in the “Things to Bring up, Just for Fun” folder when that future press briefing occurs. 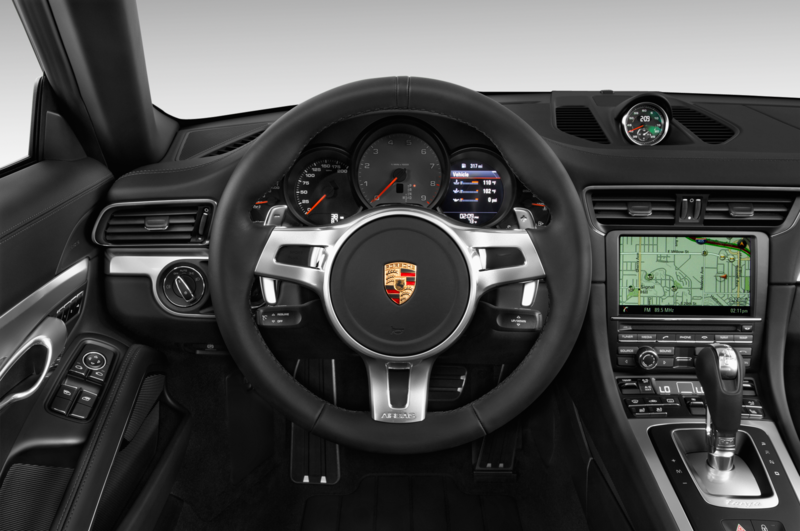 Punch the button in the dial’s center (if your car has the PDK twin-clutch gearbox, that is), and it works effectively as a racing-inspired “push-to-pass” feature: Suppose you’re cruising at 50 mph in sixth gear, in comfort mode, and you decide to overtake the car in front. 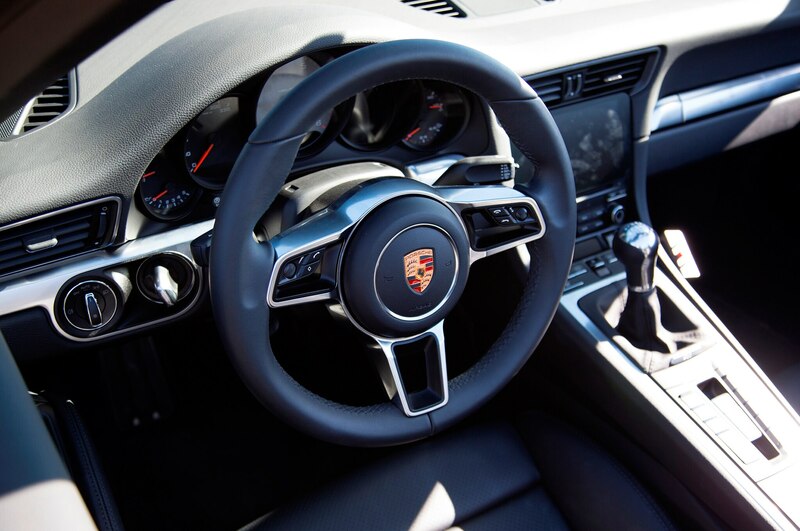 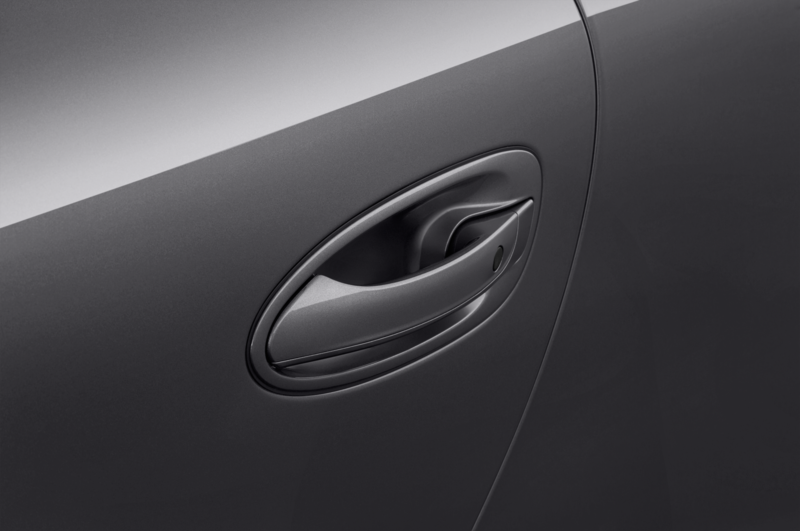 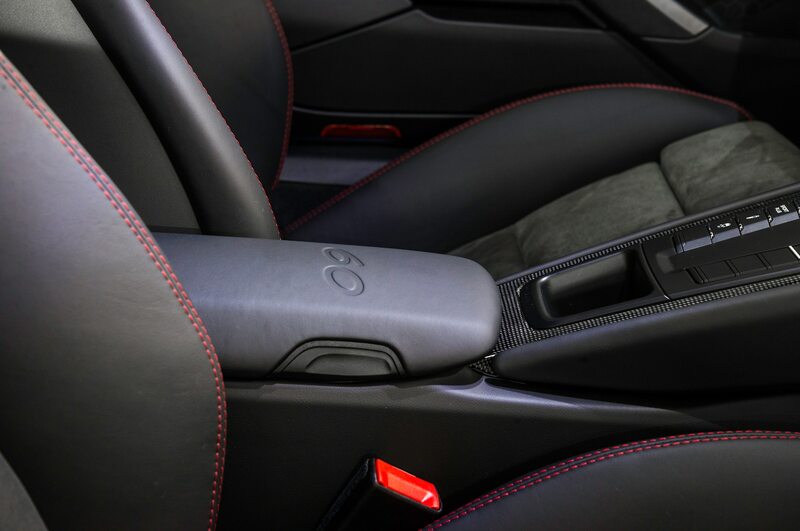 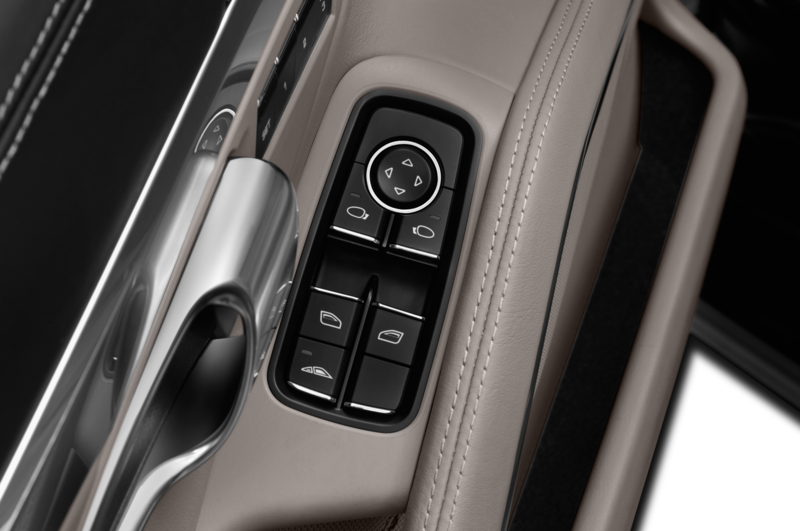 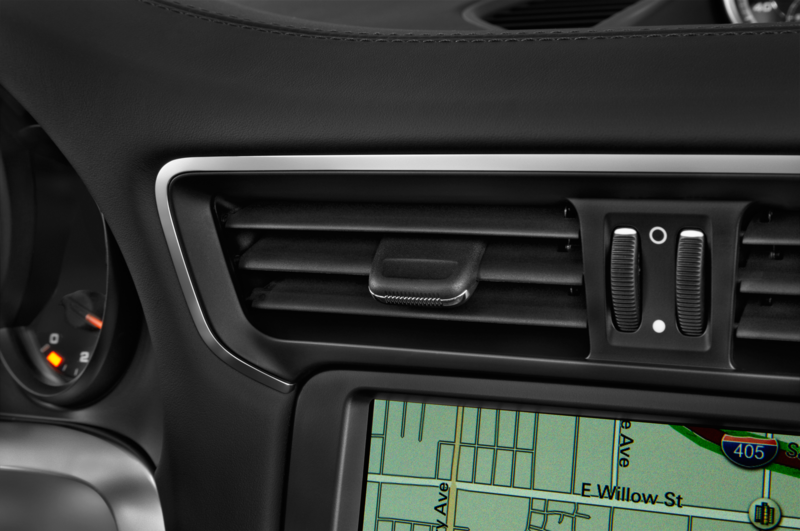 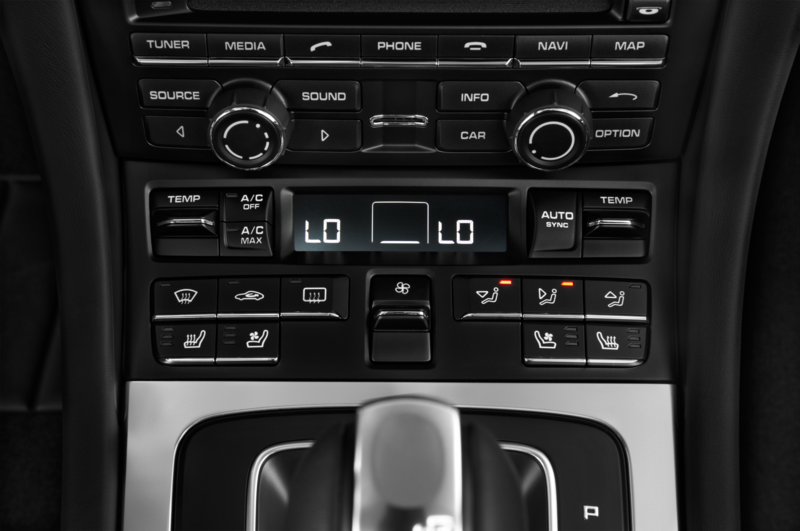 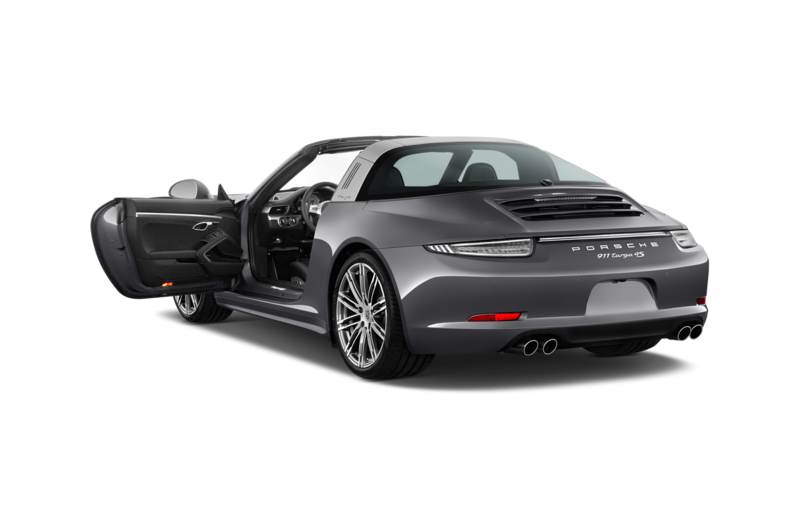 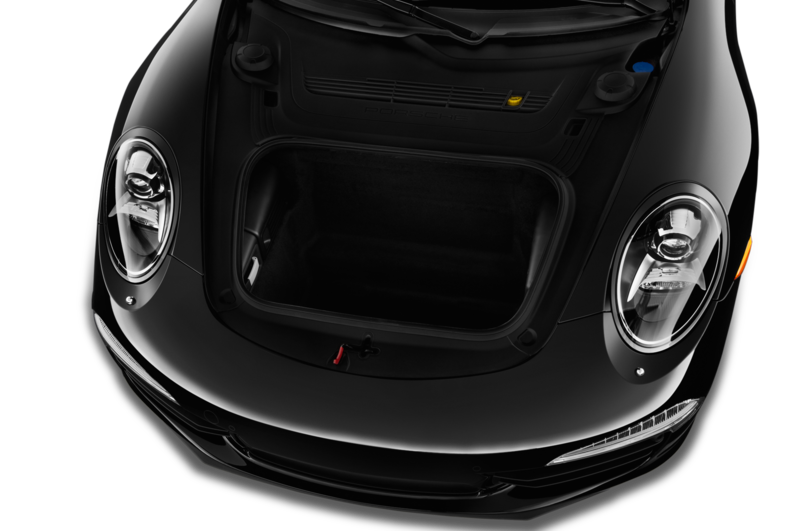 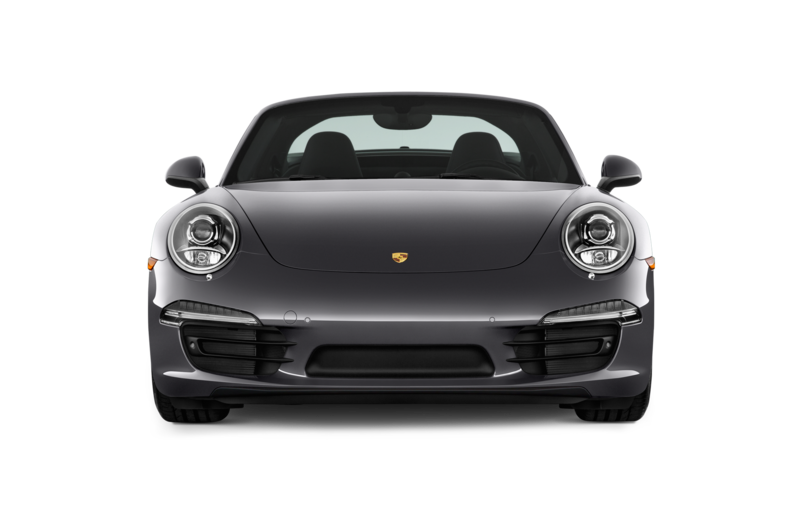 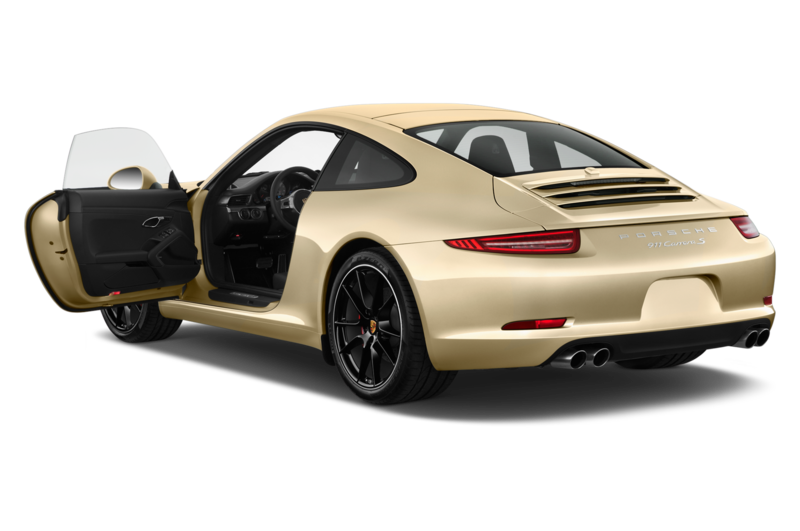 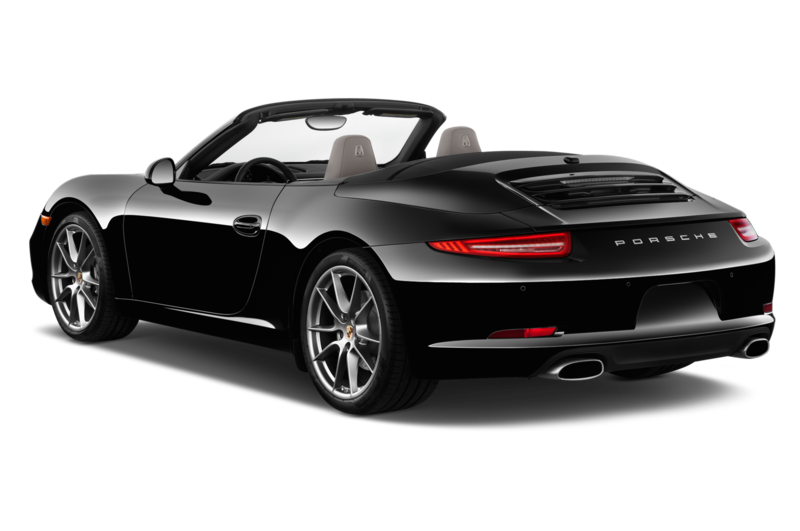 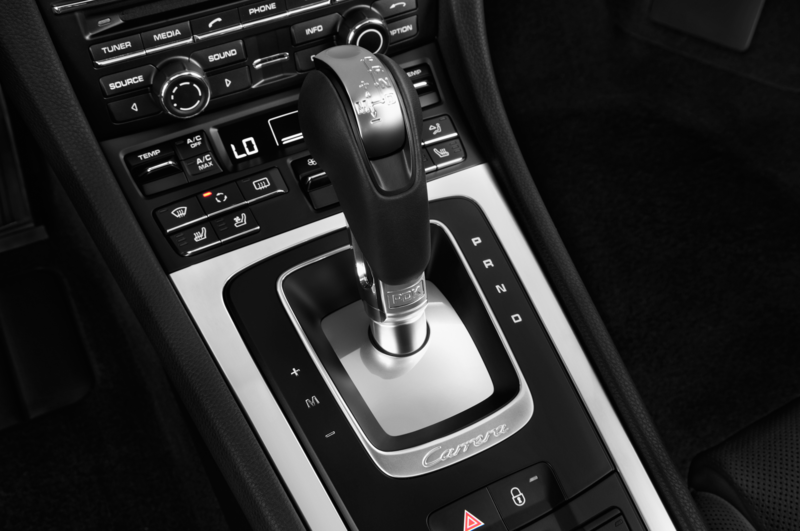 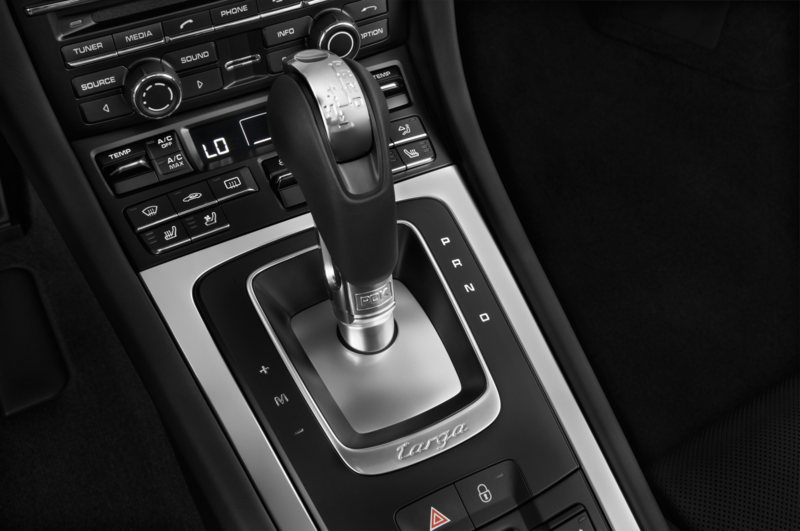 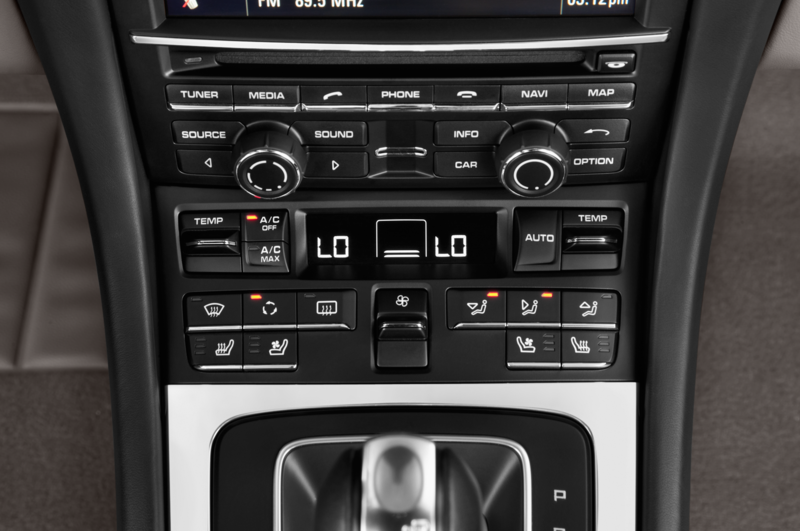 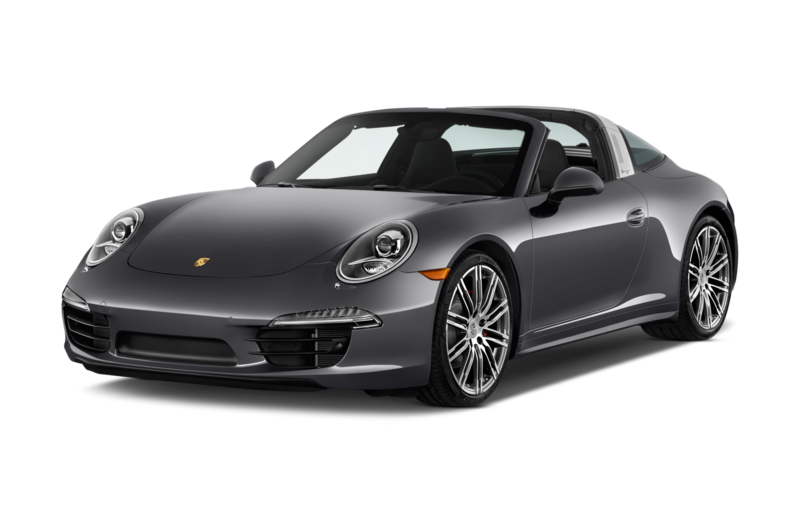 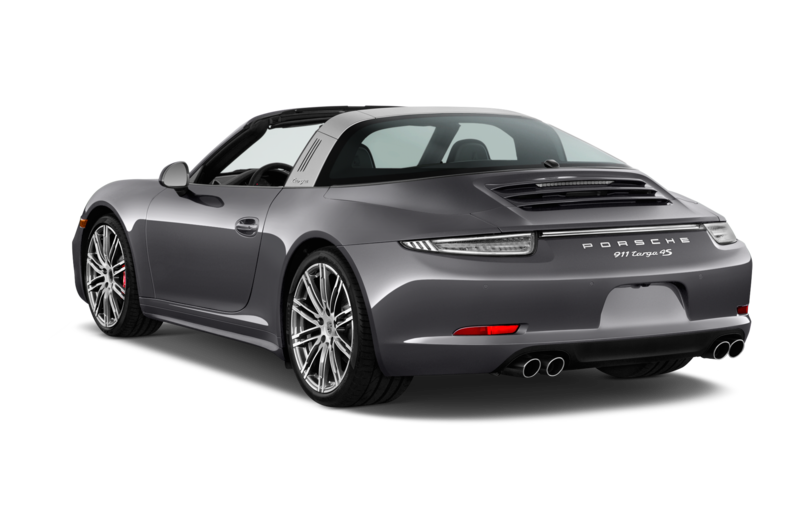 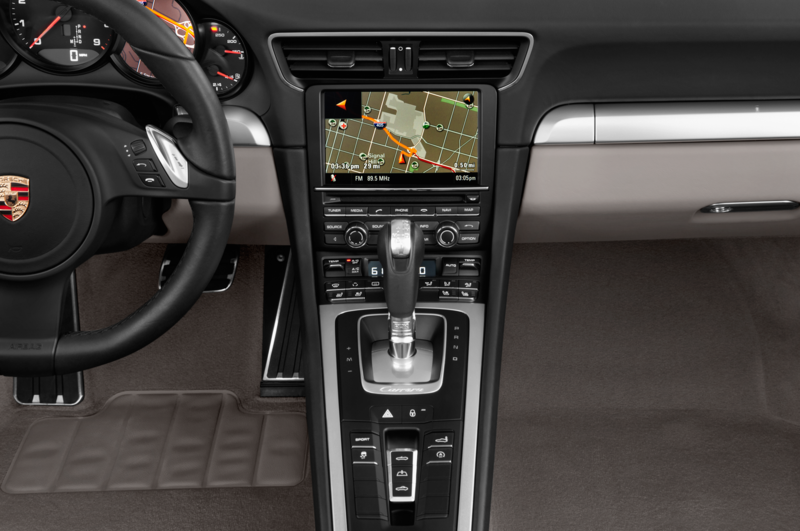 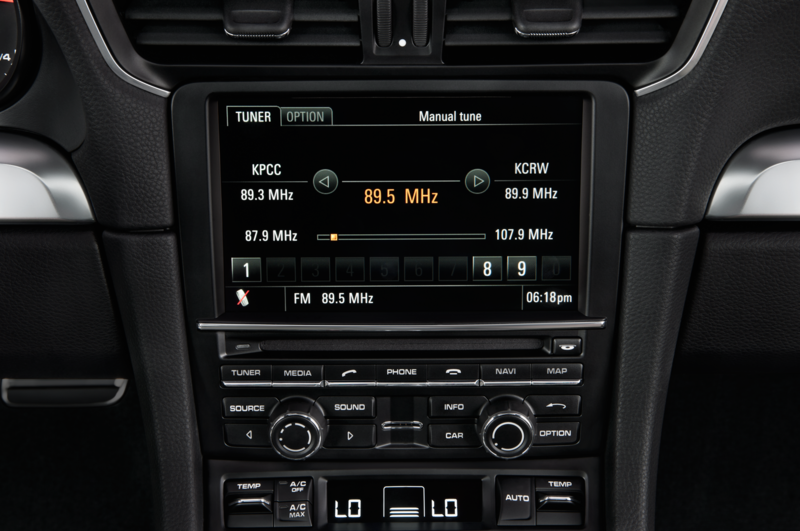 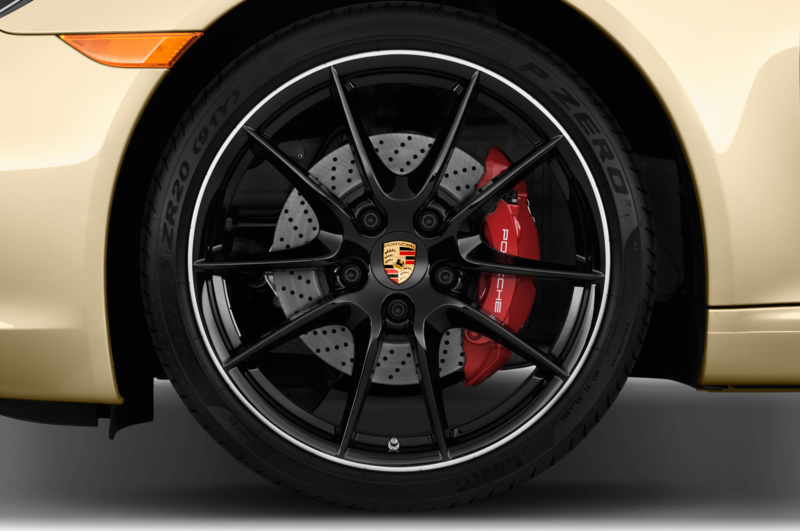 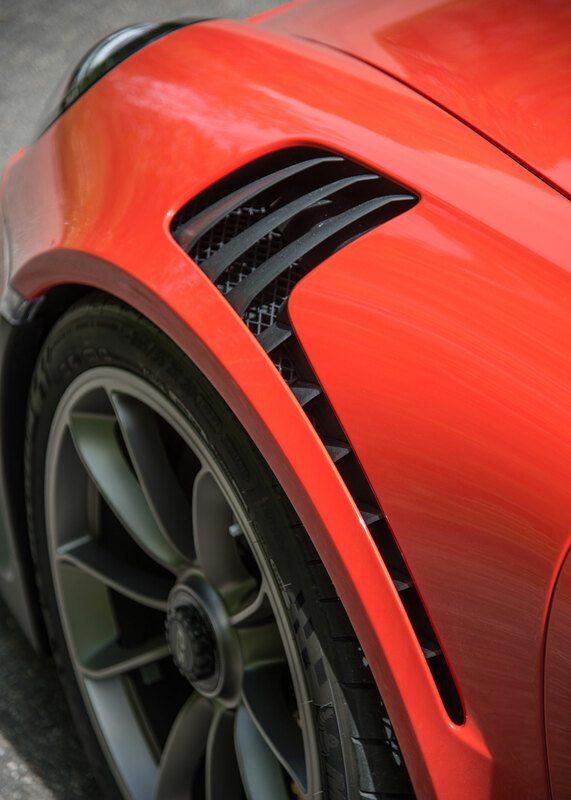 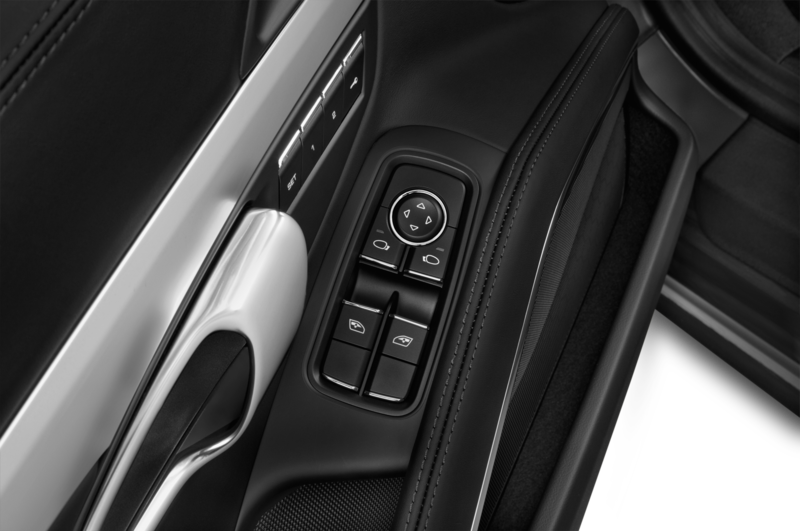 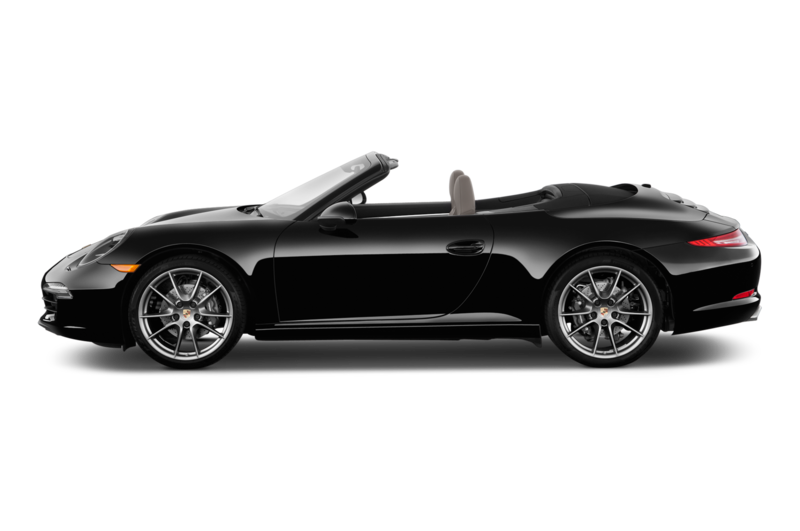 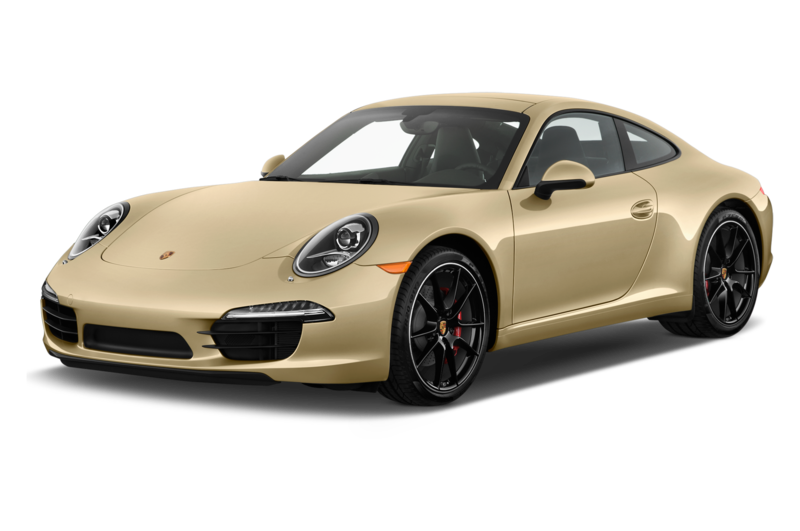 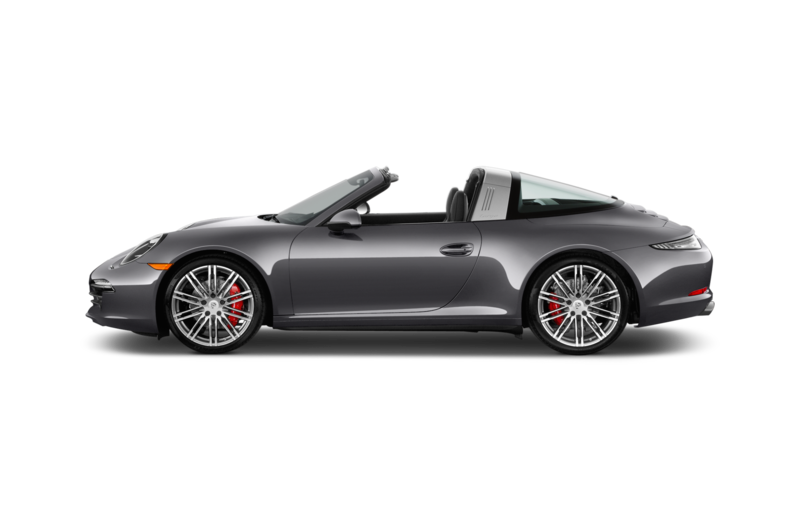 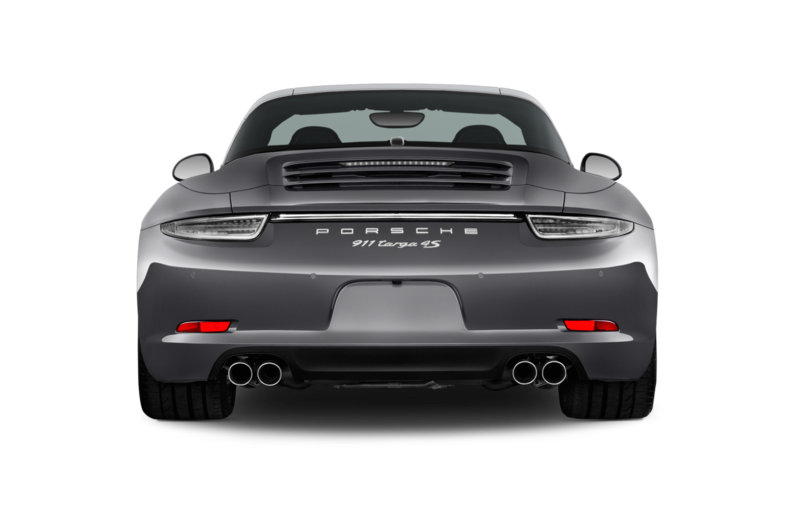 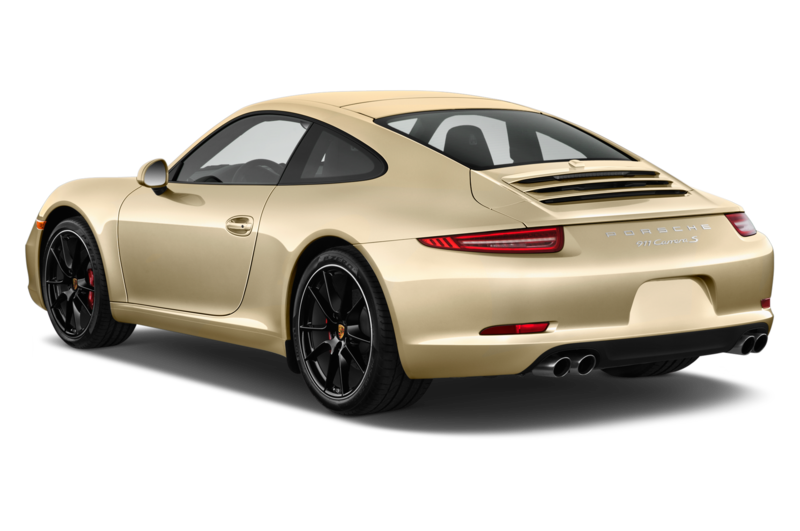 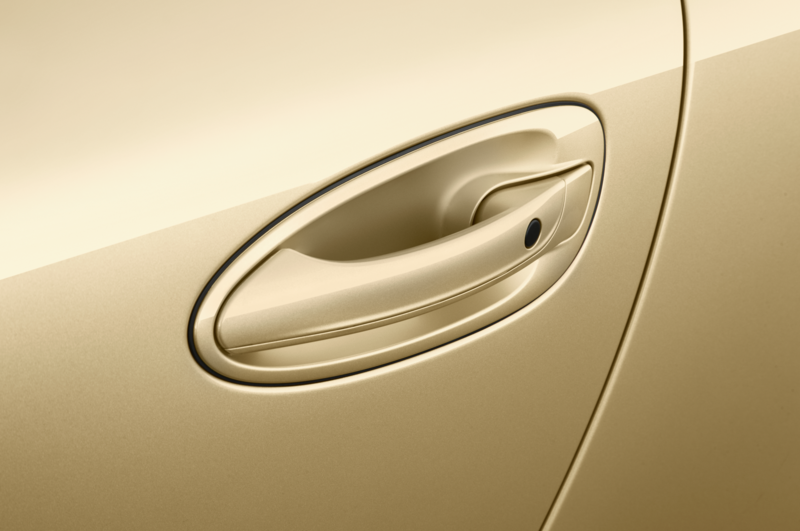 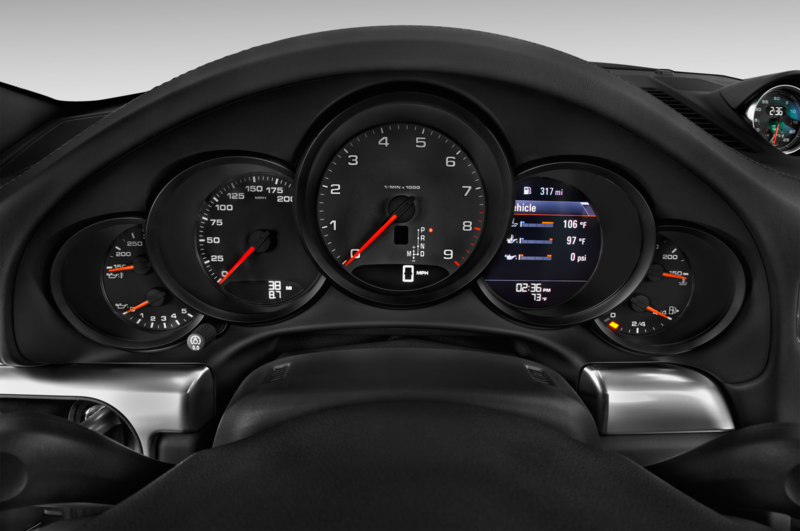 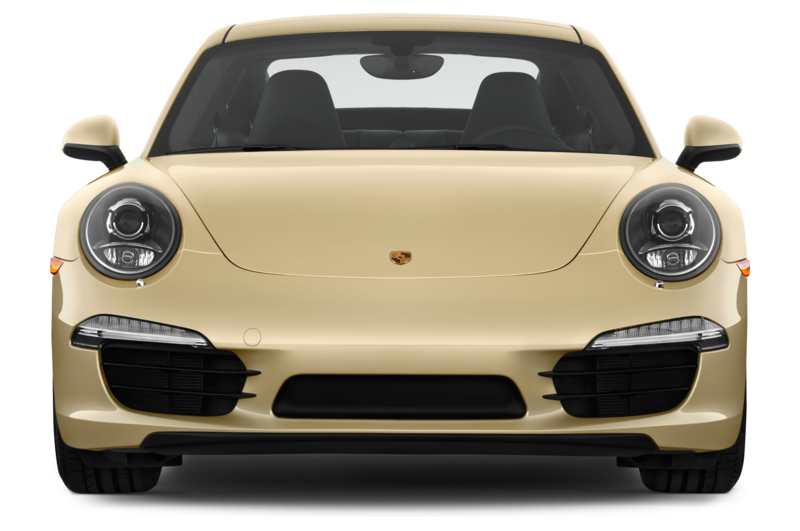 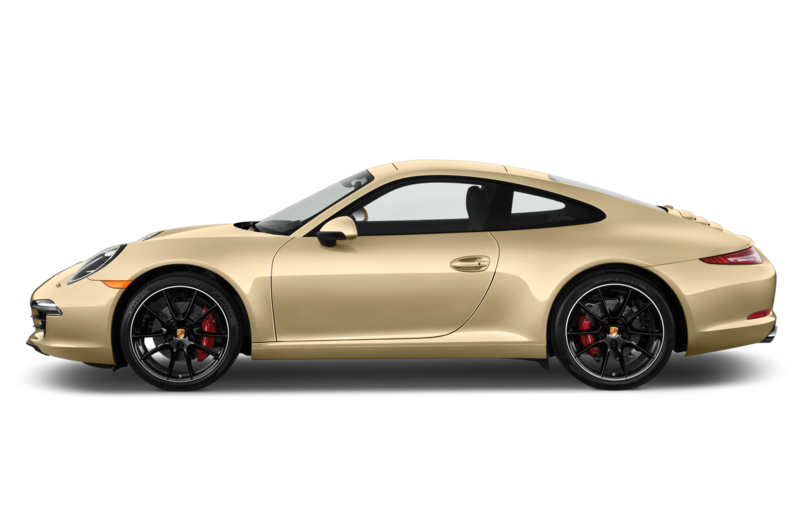 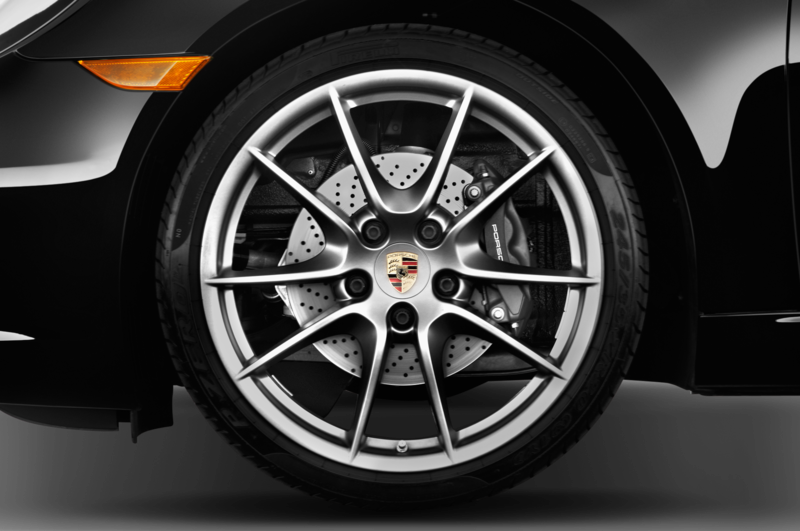 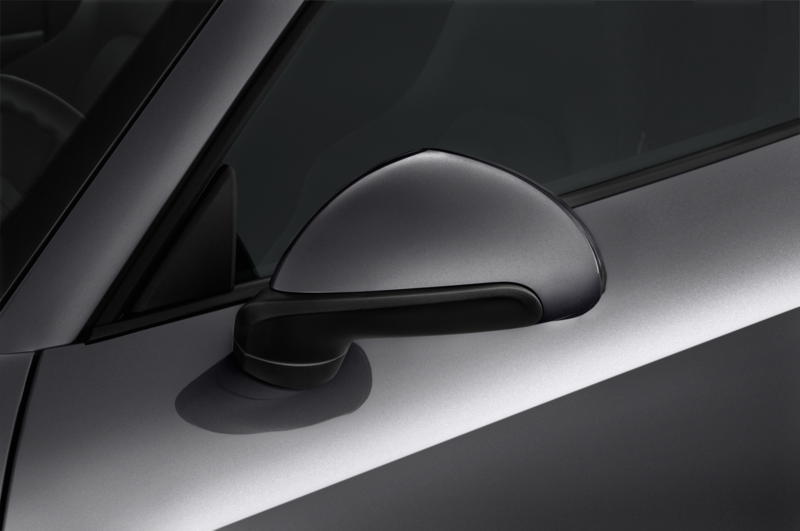 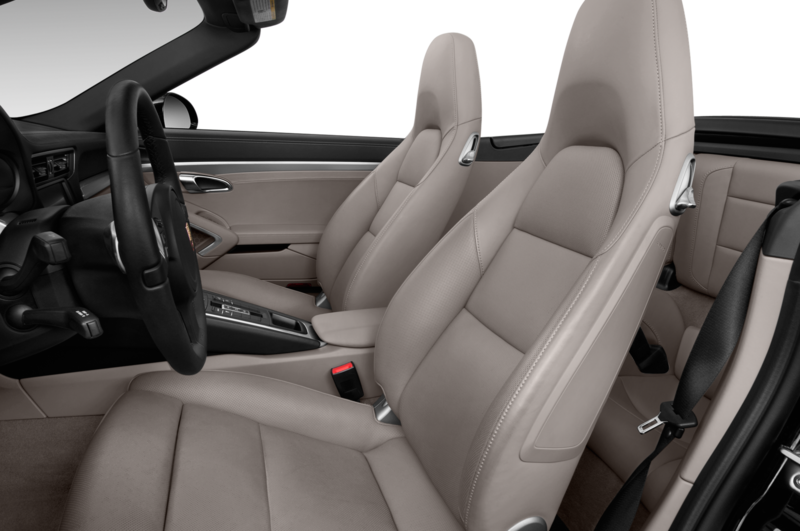 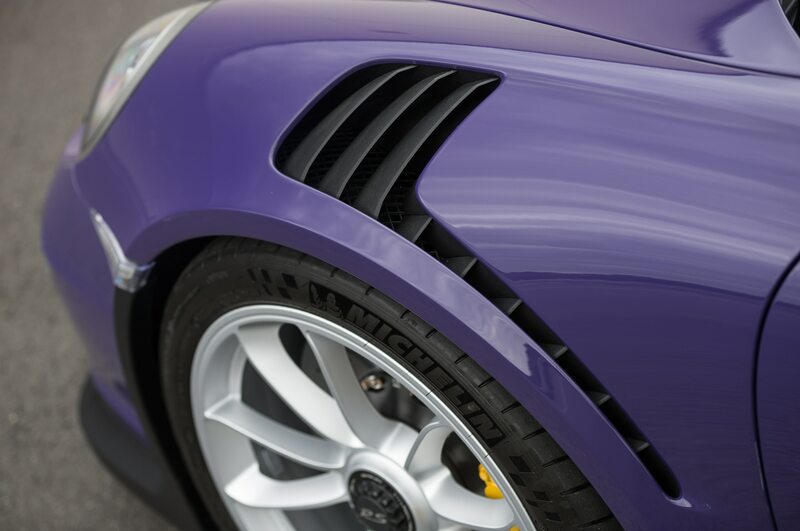 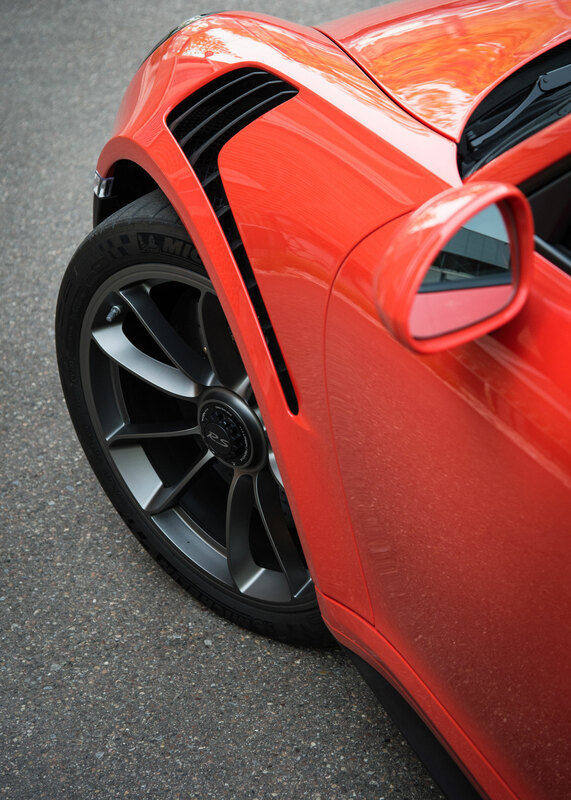 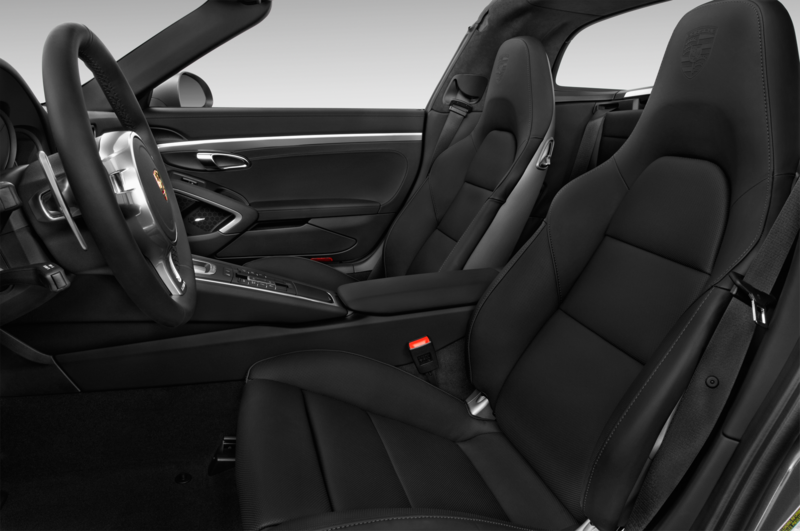 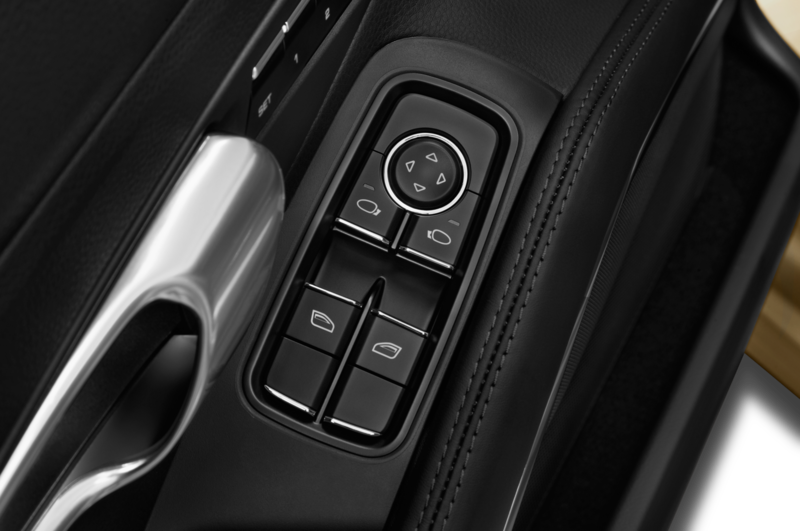 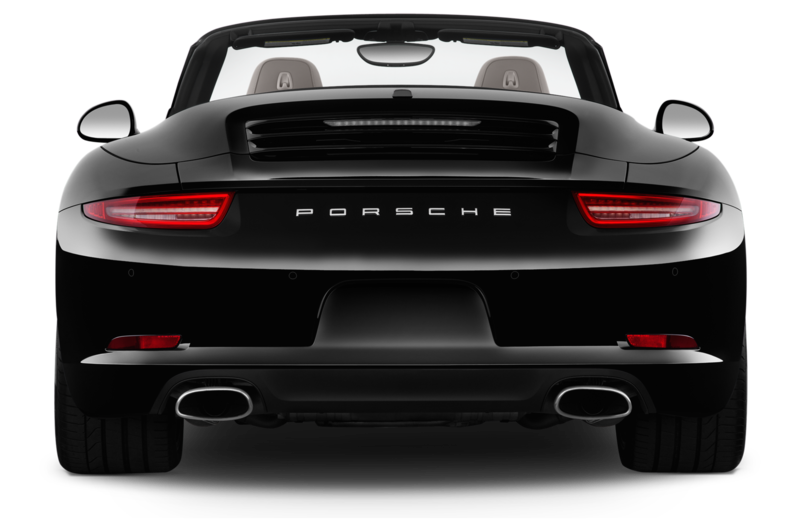 Rather than downshifting and modifying your drive mode, one touch of the button puts the 911 into the appropriate gear and engine setting for its best possible acceleration, for 20 seconds. 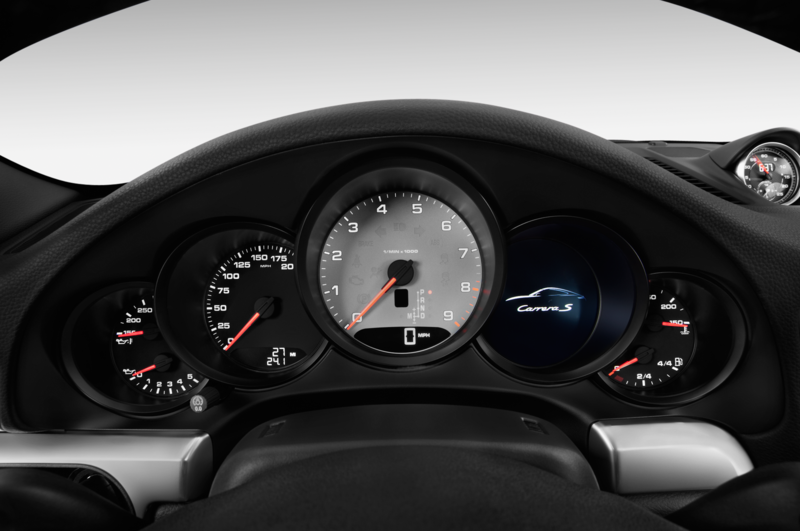 A display counts down the time remaining before the system reverts to its previous calibrations. 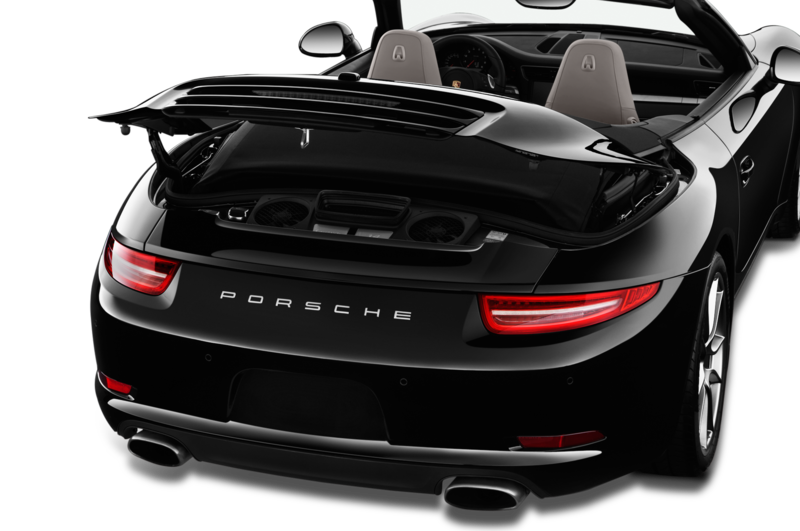 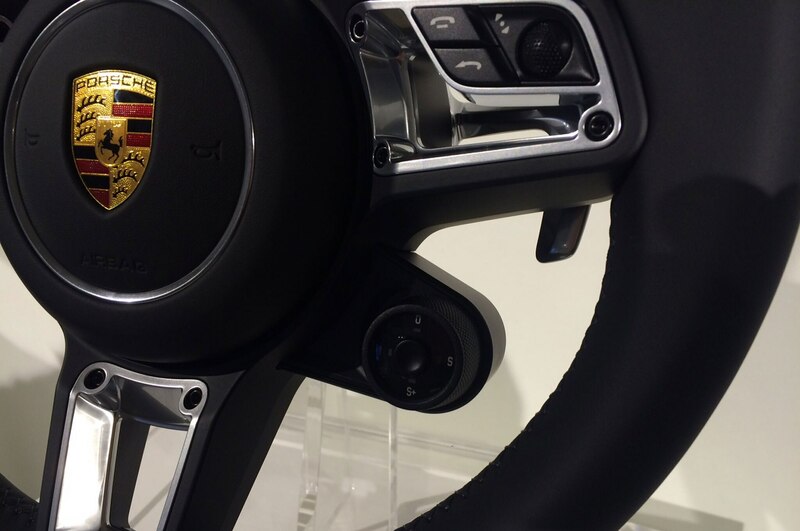 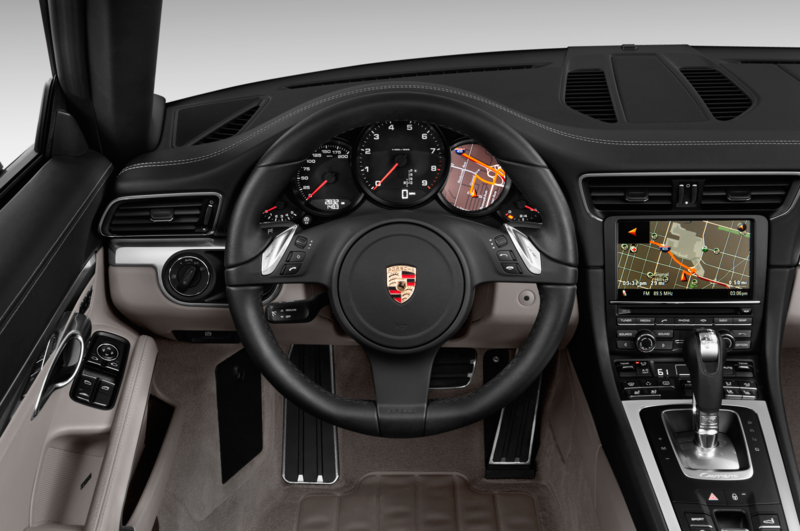 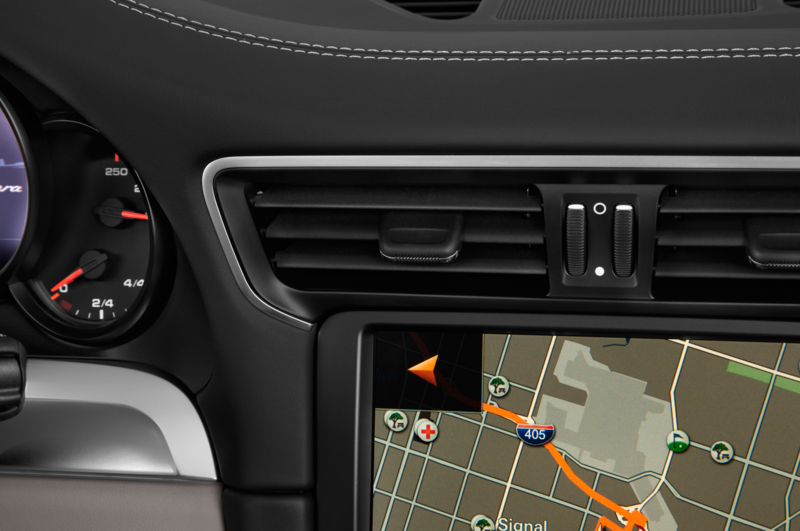 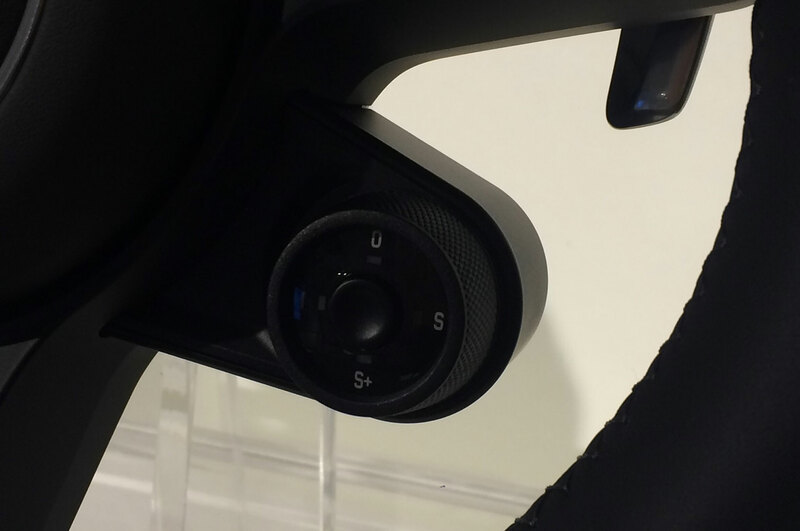 The overall feature looks like a fun gimmick, though we’re unimpressed by the cheap-feeling plastic Porsche uses for the controls — some video game steering wheels feature better quality switches and buttons. 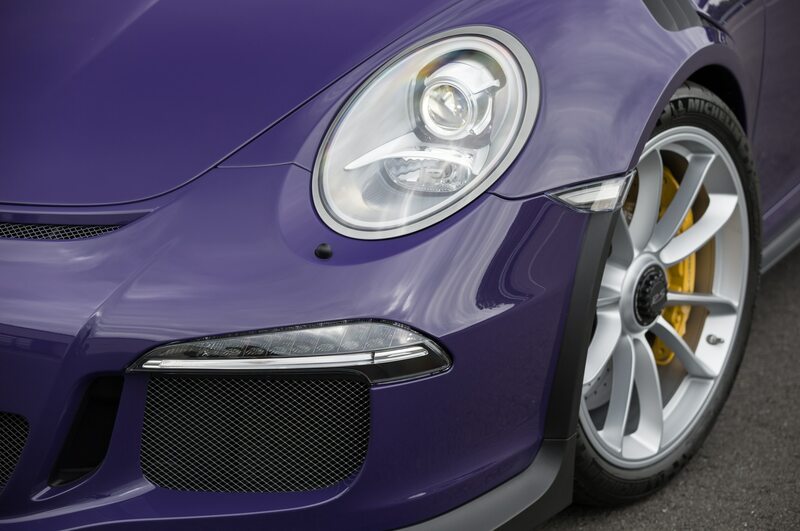 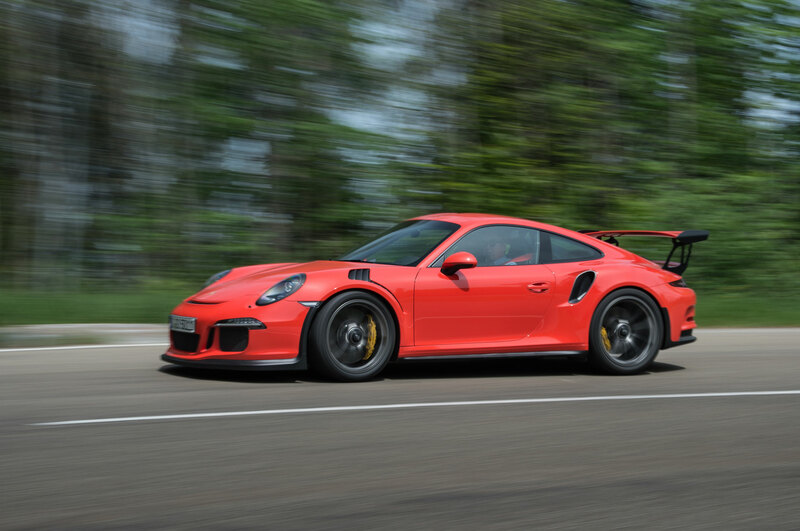 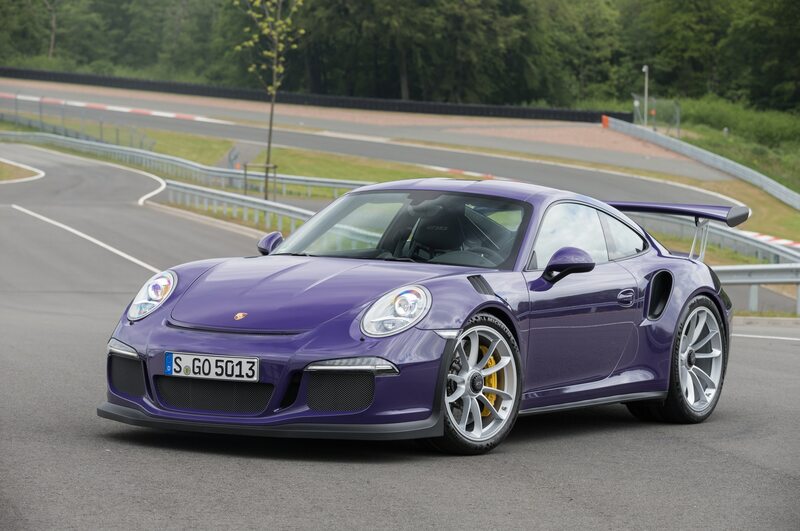 Five-millimeter wider rear tires for improved grip and stability— 295/35 R19 for Carrera (fronts remain 235/40 R19), and 305/30 R20 for Carrera S (fronts remain 245/35 R20) — are supplied officially only by Pirelli, at least for now. 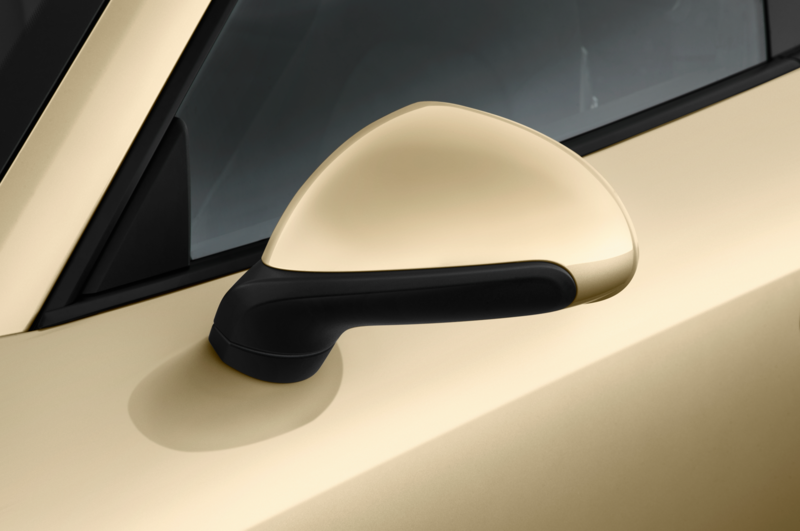 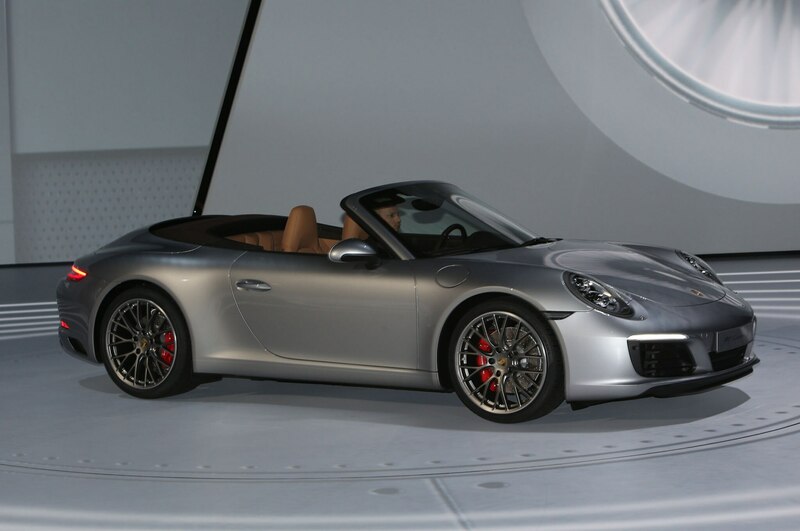 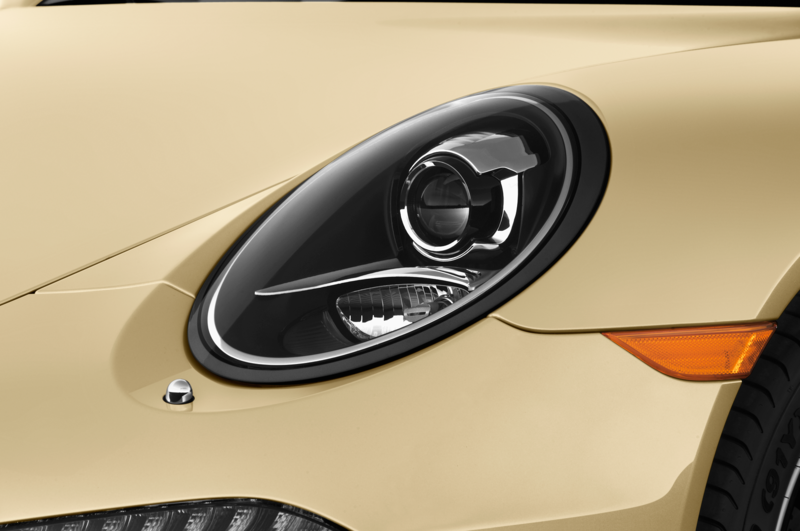 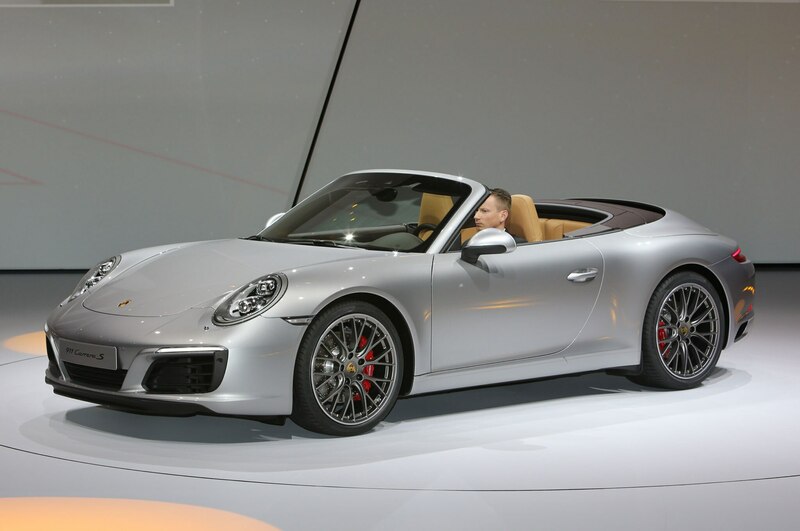 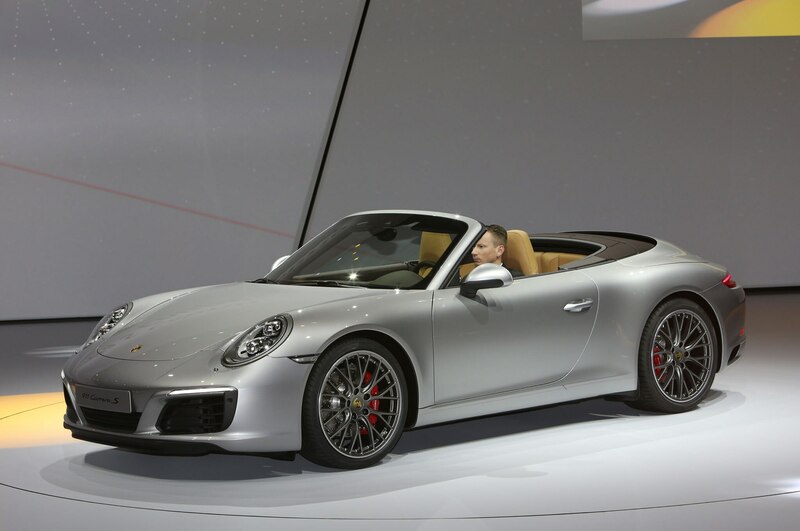 According to Porsche, the P Zeros it developed with the Italian company beat out competitors’ attempts to meet Stuttgart’s desired levels of performance and comfort. 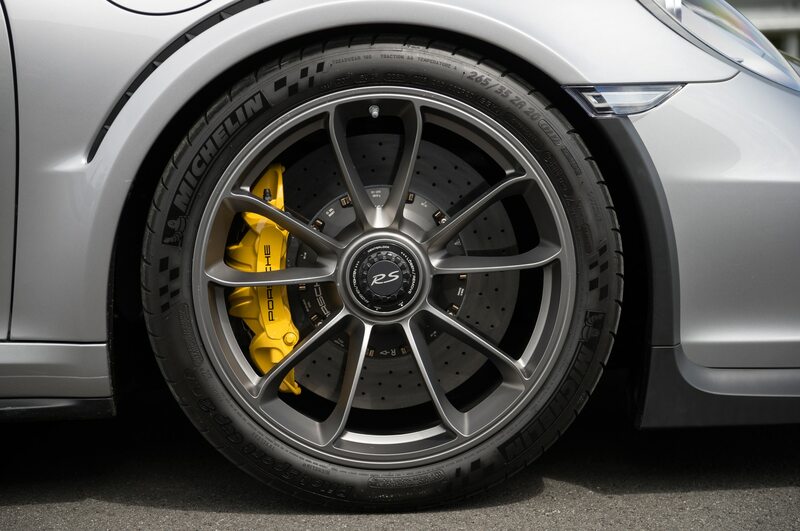 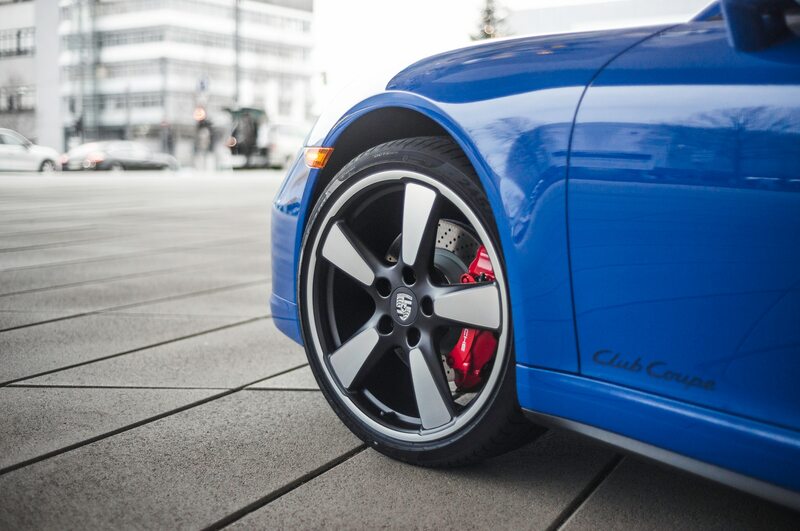 Good news for the cars’ expensive wheels, too: Pirelli’s rubber comes with curb-rash fighting, meaty rim-protector sidewalls rather than a slab-sided design. 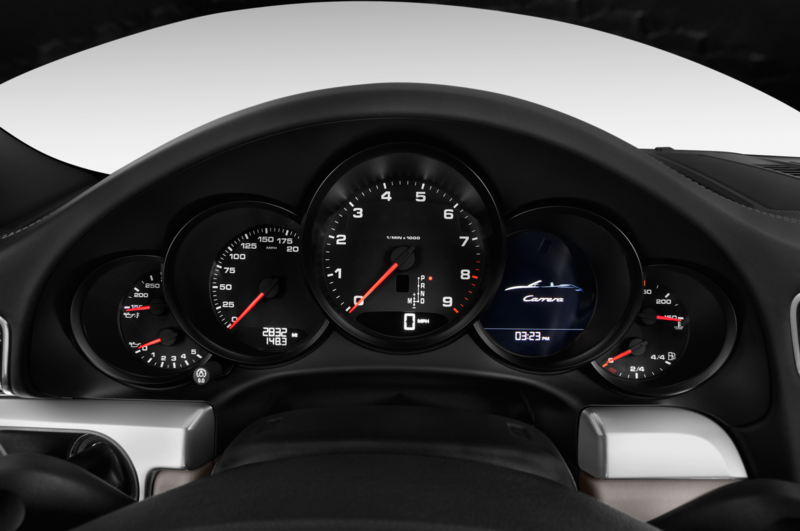 The manual now employs a twin-disc clutch to avoid too-heavy pedal action despite its need to cope with significantly increased torque. 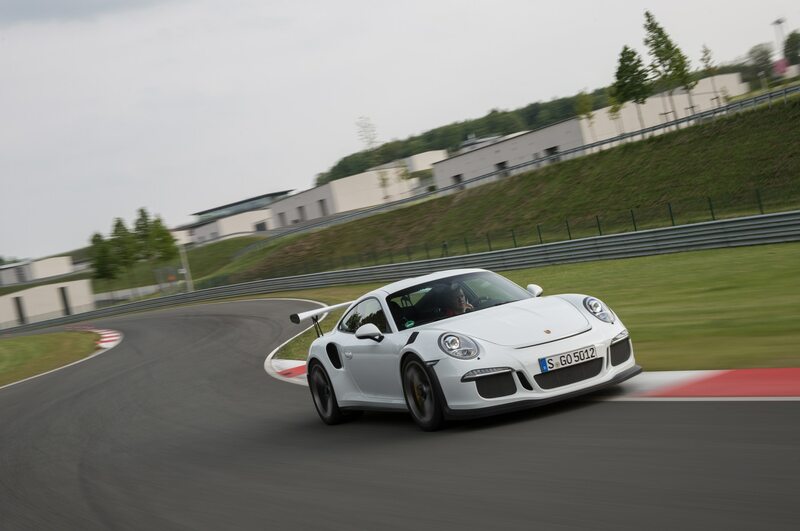 Speaking of more torque from the new engines, it allowed Porsche to select taller gear ratios from third-gear on, improving fuel consumption but still providing quicker acceleration than the outgoing Carreras. 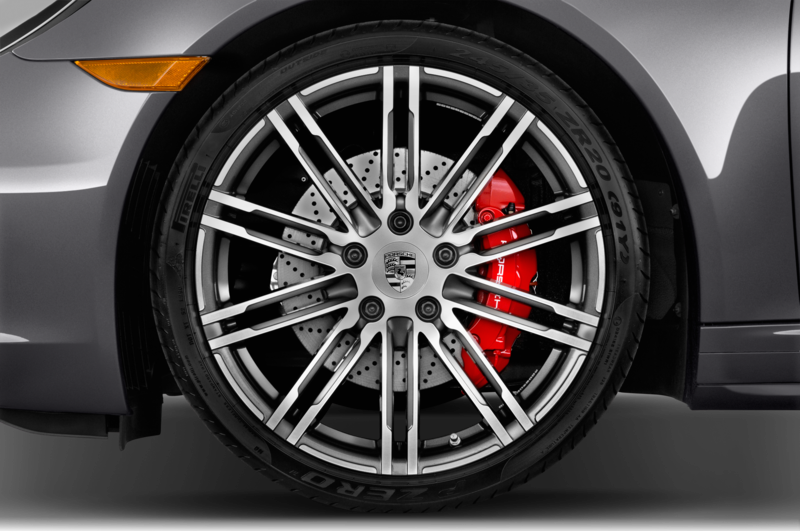 Meanwhile, PDK fans will for the first time benefit from a dual-mass flywheel. 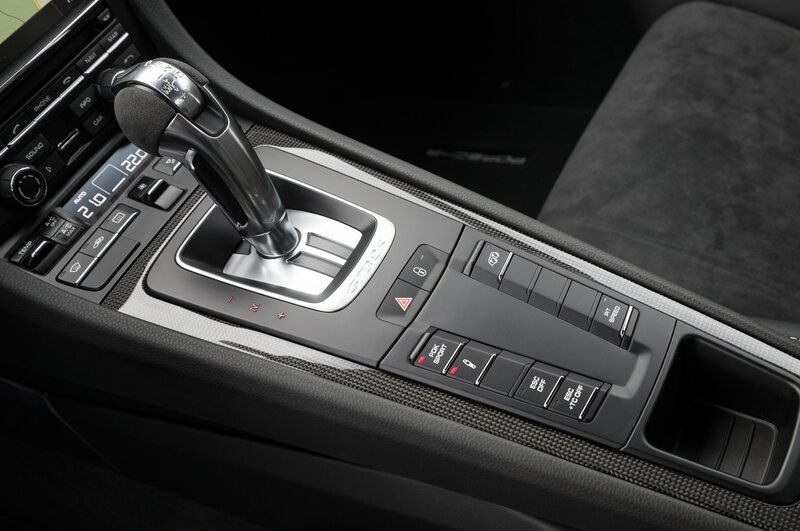 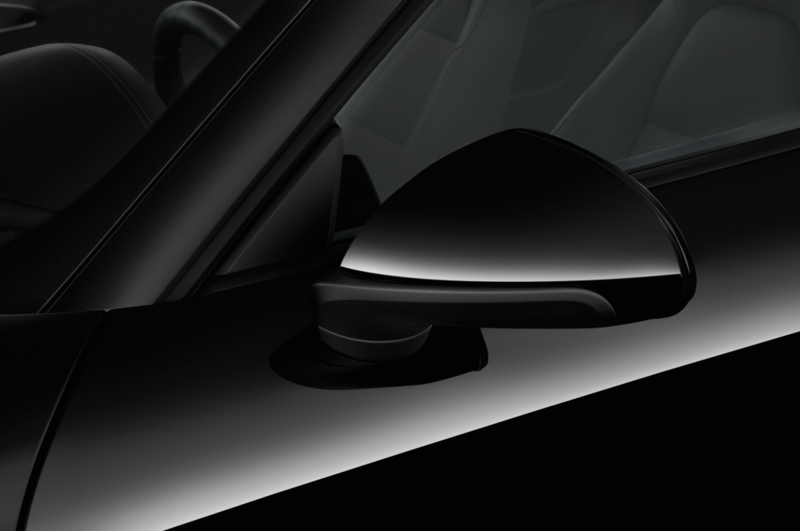 Also of note, the center console-mounted shift lever now works in proper fashion, similar to sequential-shift race cars: pull back for manually controlled upshifts, and push forward for downshifts. 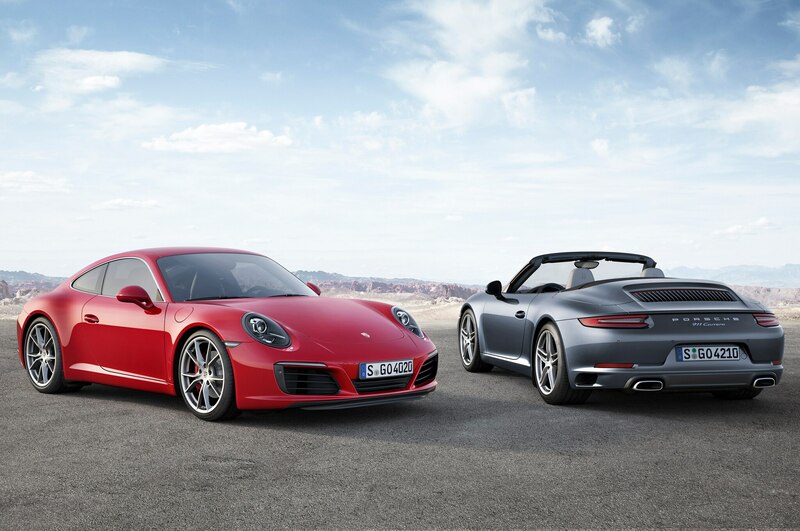 BMW and Mazda figured this out long ago, so we’re happy to see Porsche finally make the change, even if just for the principle of it all. 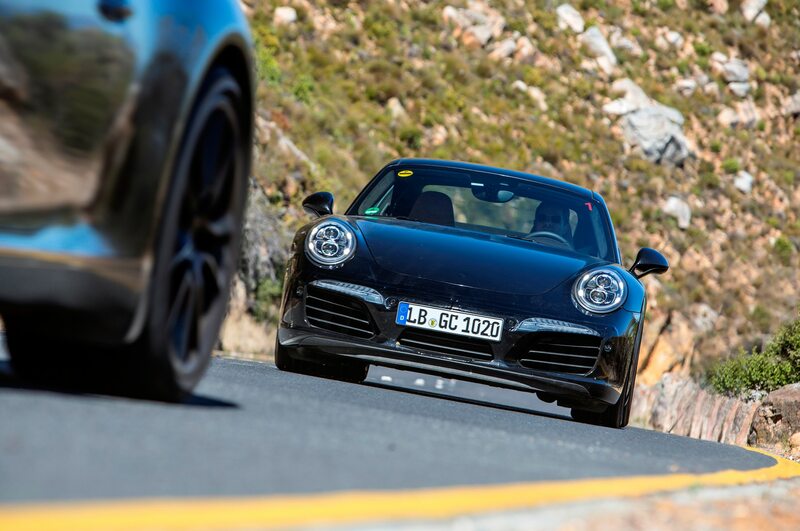 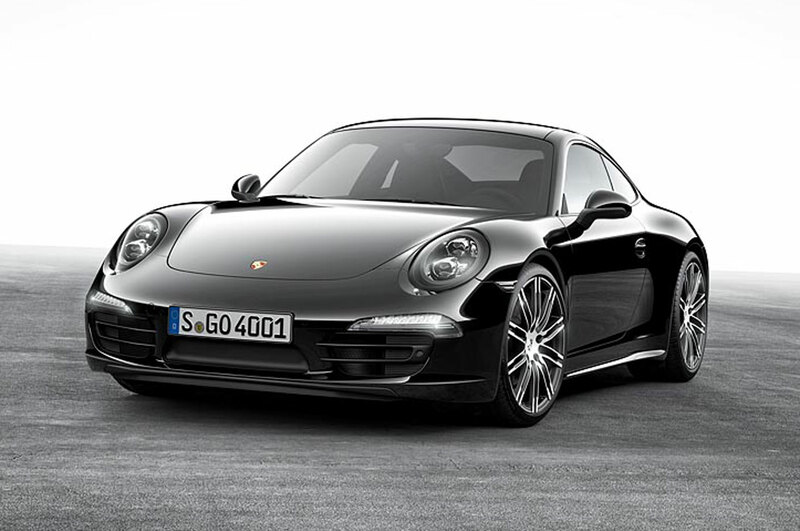 How do these twin-turbo 911s drive? 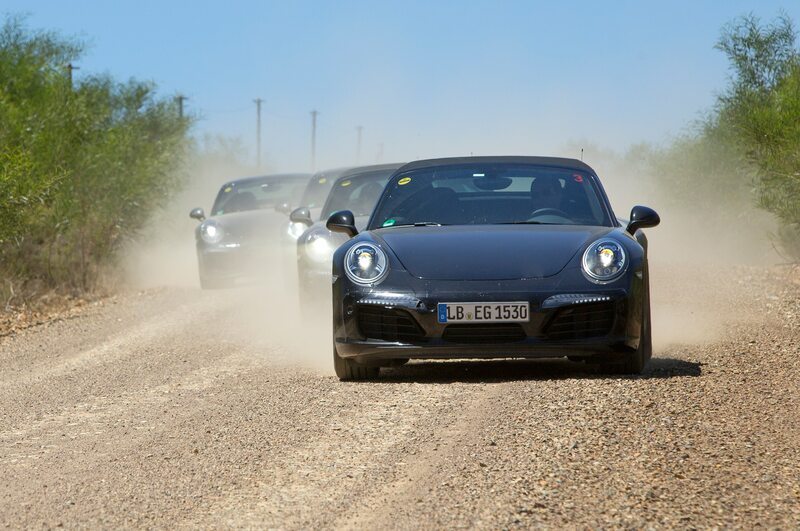 Porsche disappointingly did not allow us behind the wheel at Hockenheim. 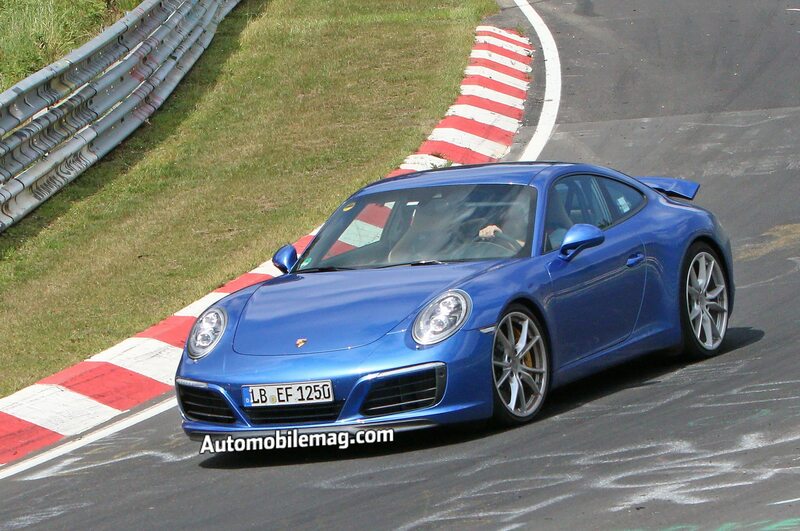 Entertainingly, Ernst gave us several sideways laps in a Carrera S around the circuit’s short course. 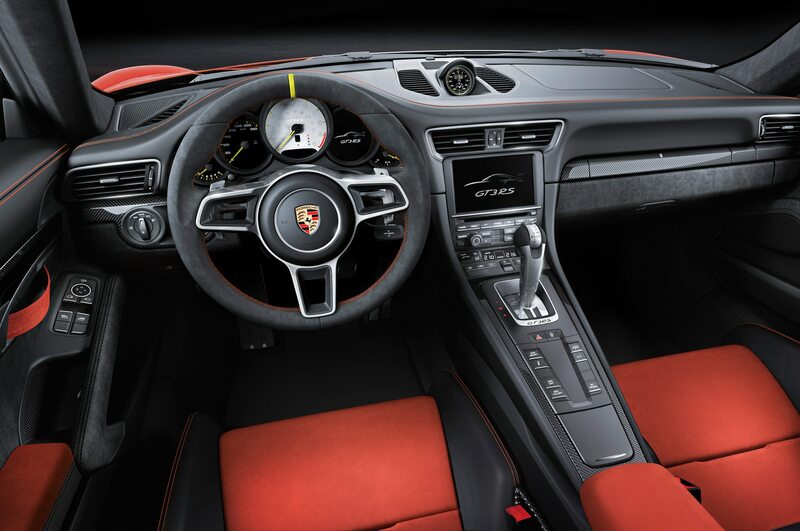 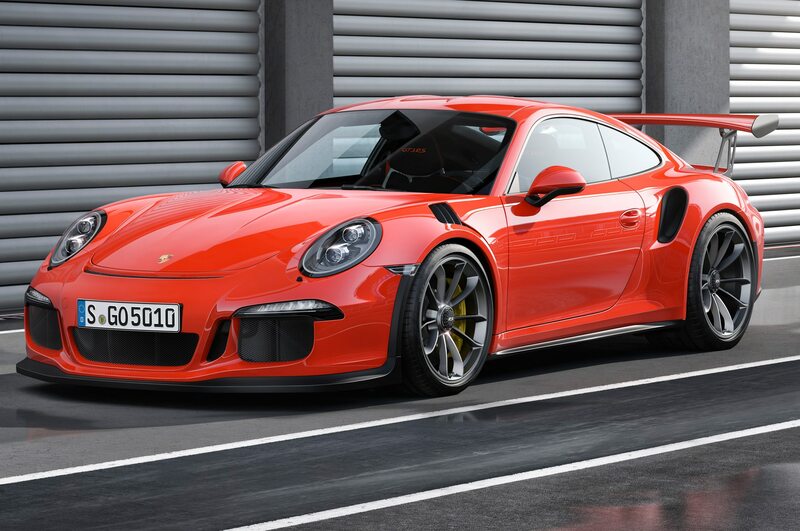 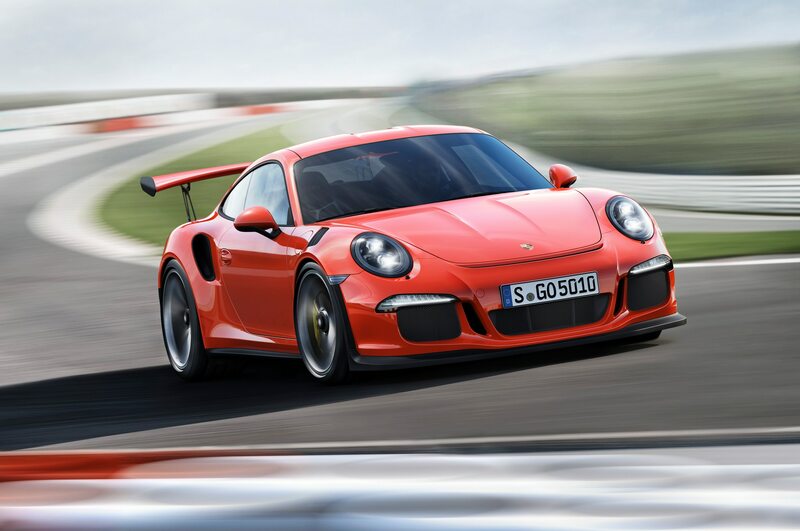 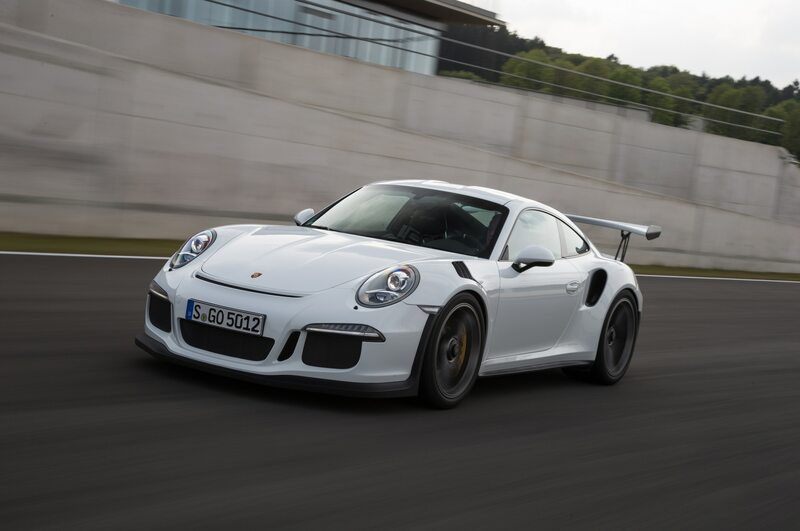 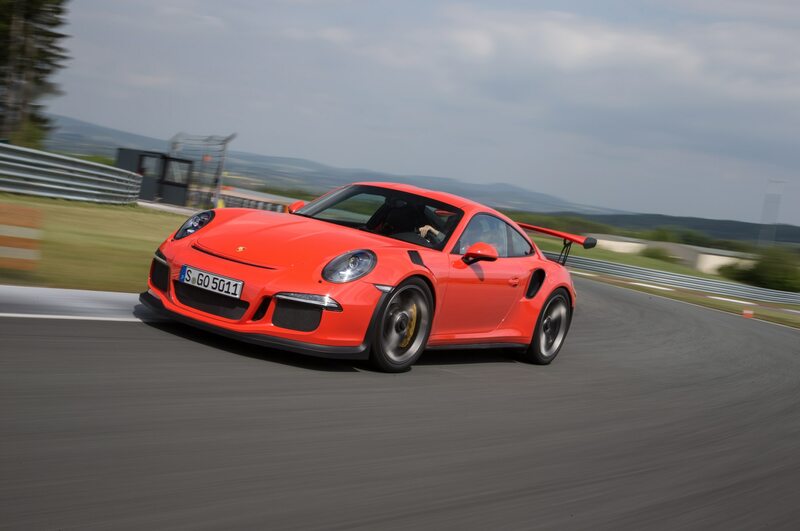 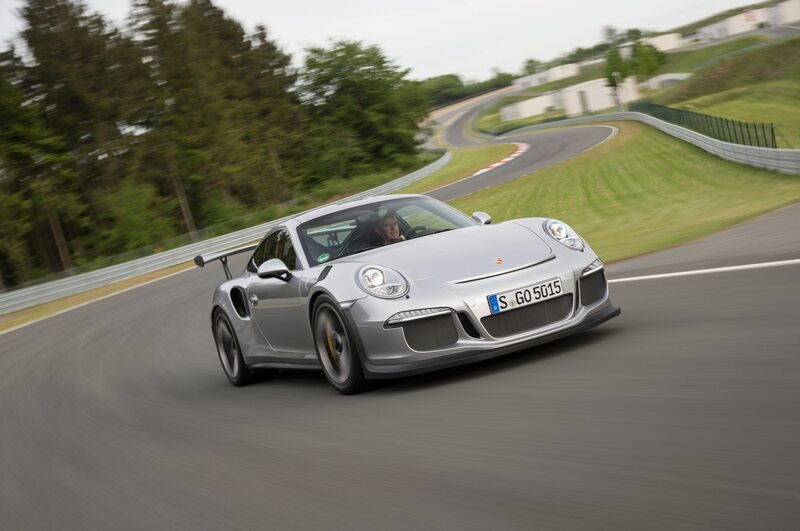 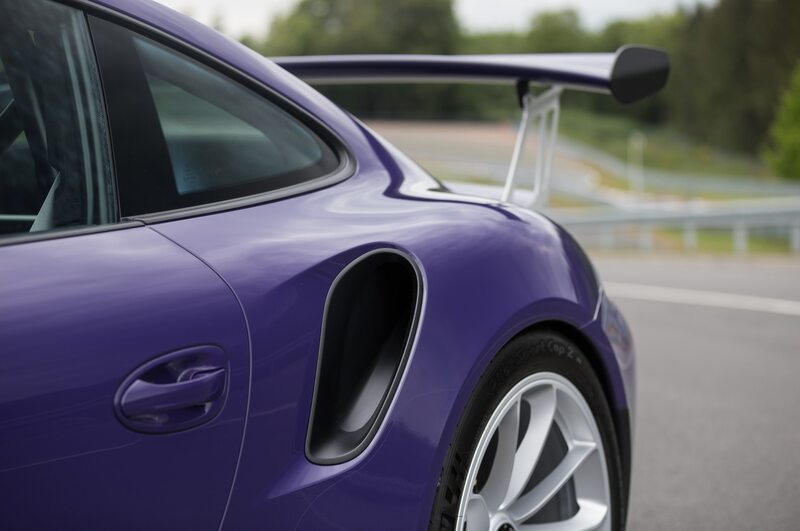 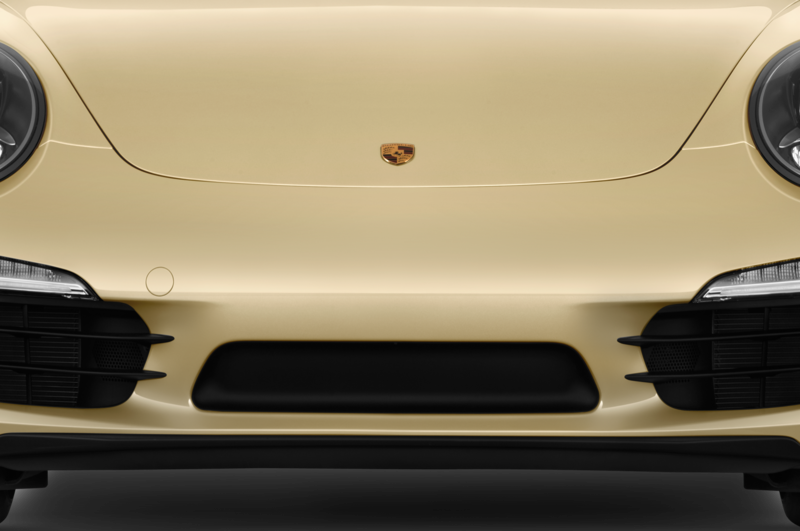 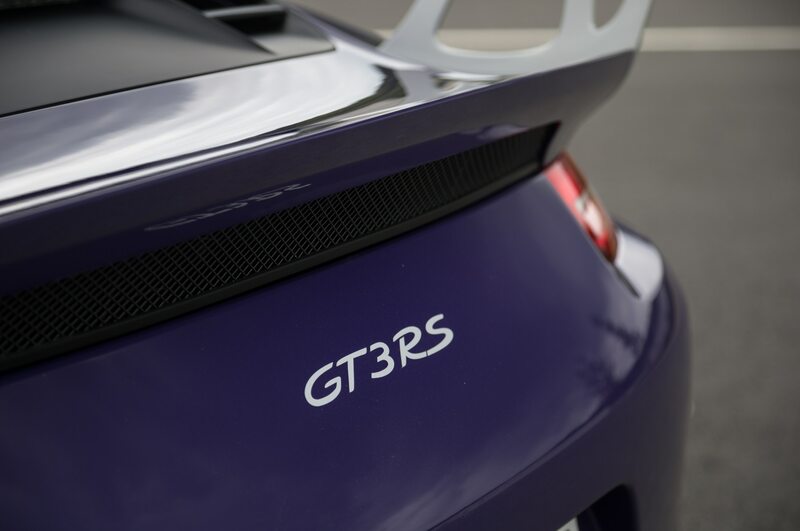 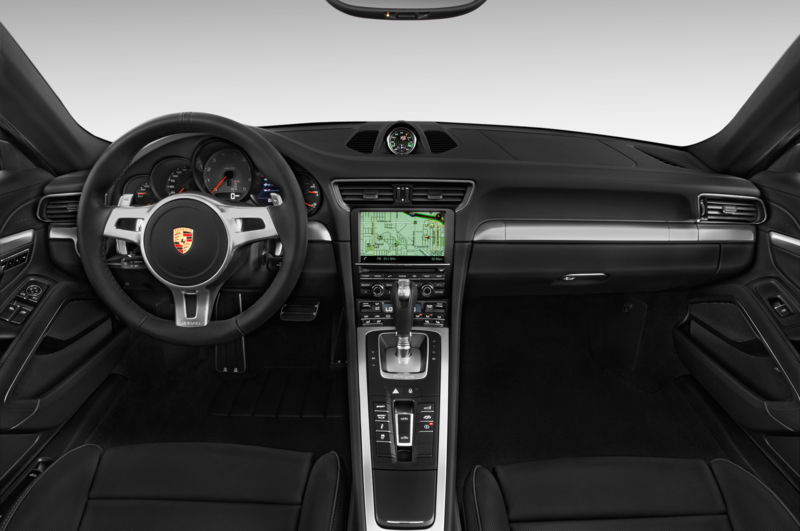 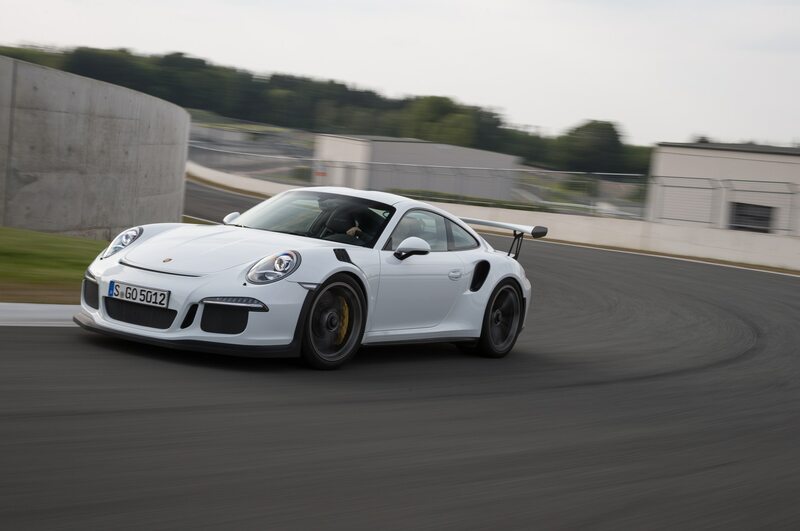 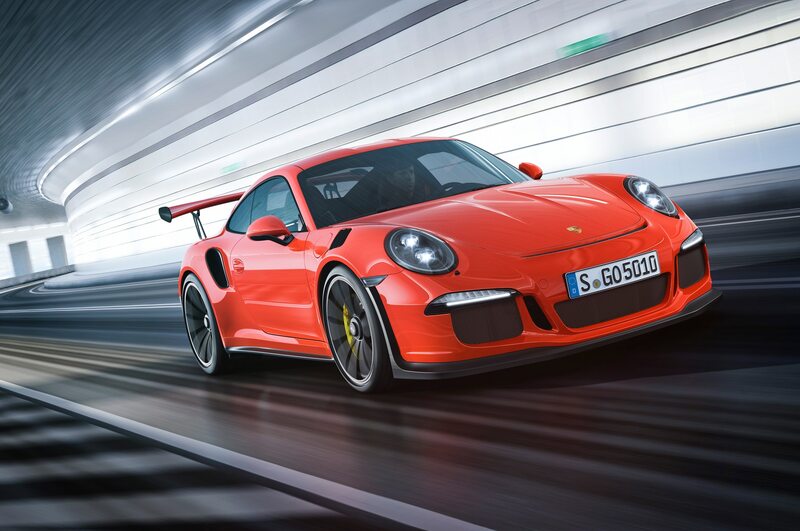 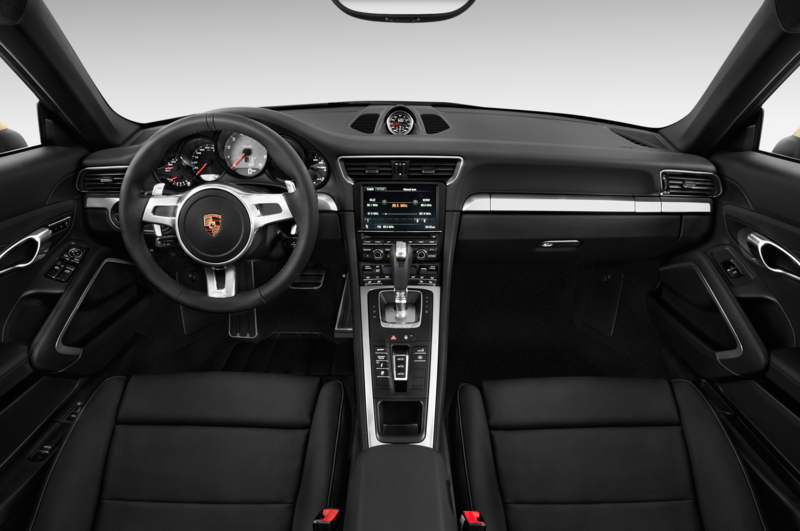 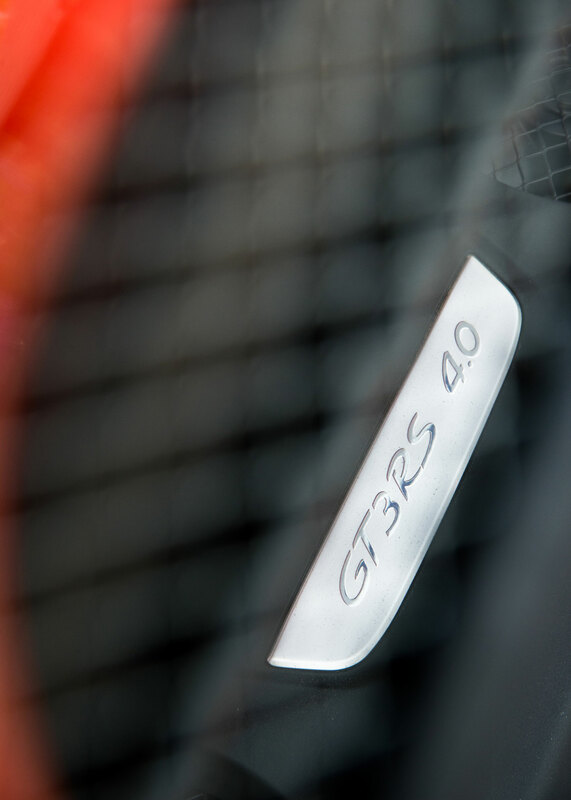 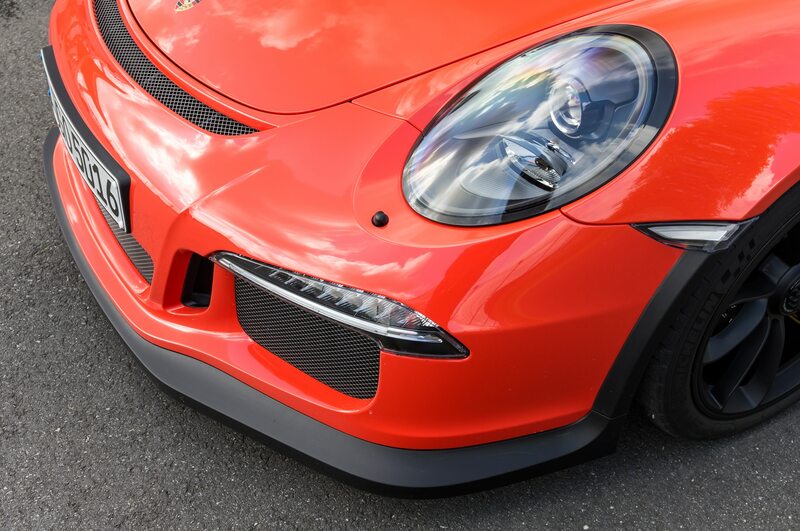 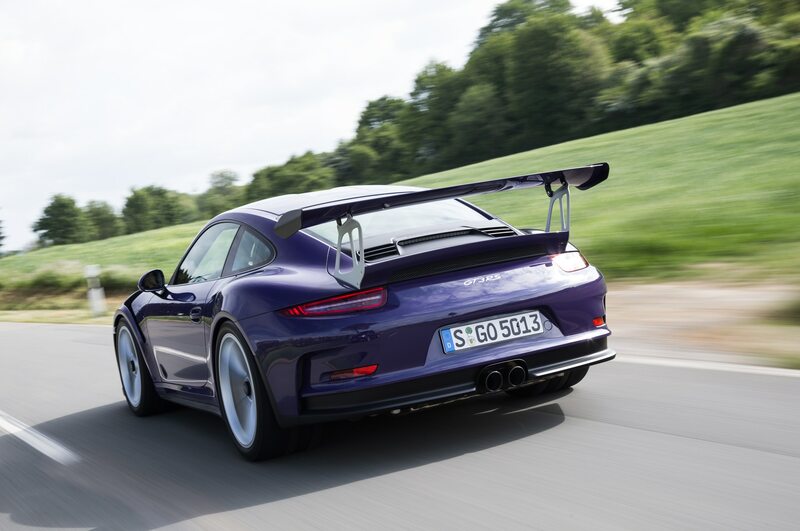 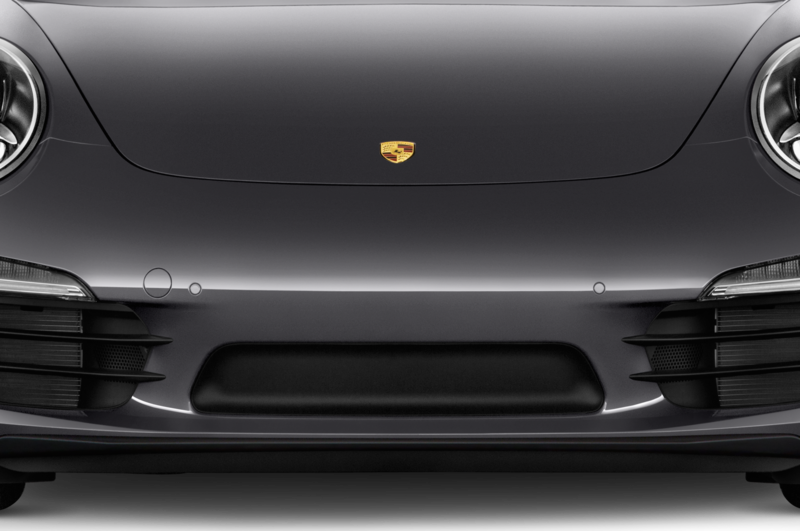 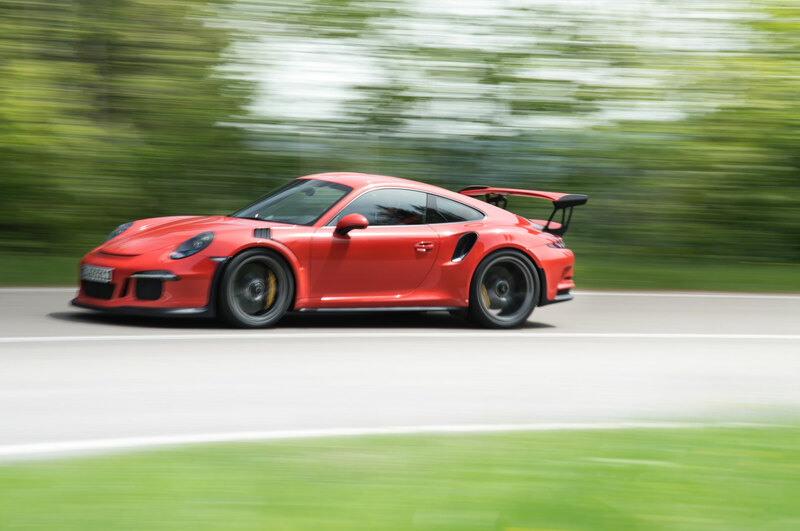 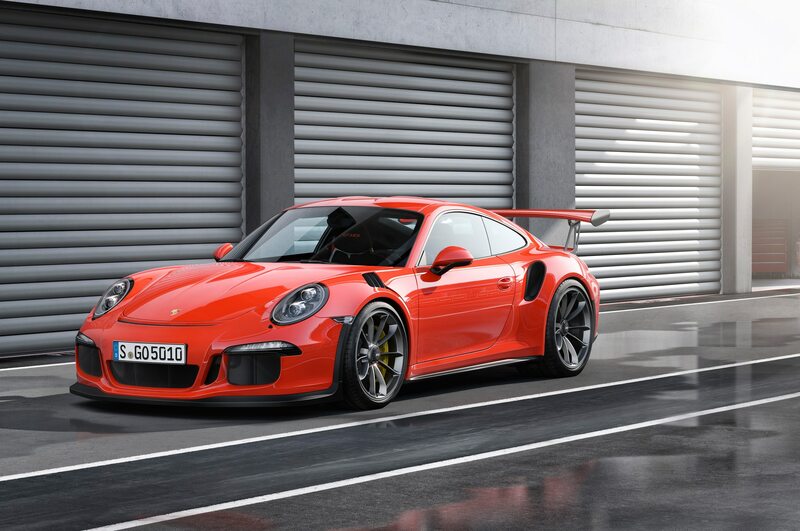 First impressions from the passenger seat: Engineers’ efforts at tuning the intake and exhaust sounds — a not-unfounded concern of Porschephiles — appears to have yielded gutsy, 911-appropriate notes, especially inside the cockpit. 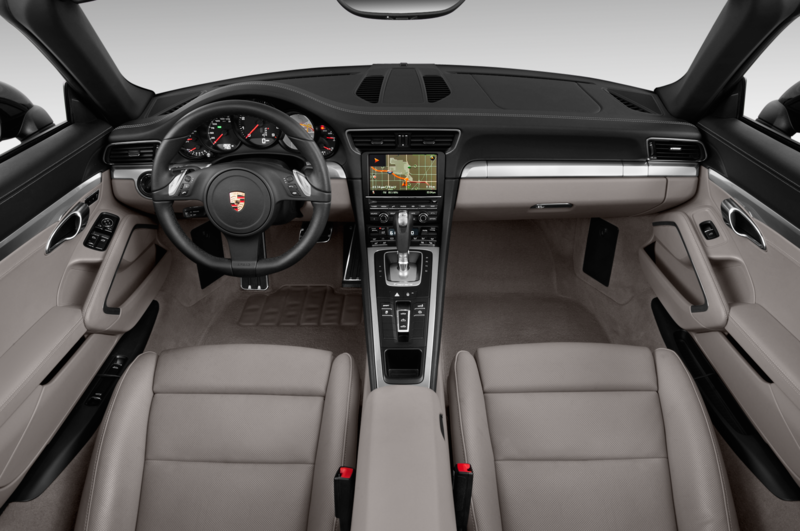 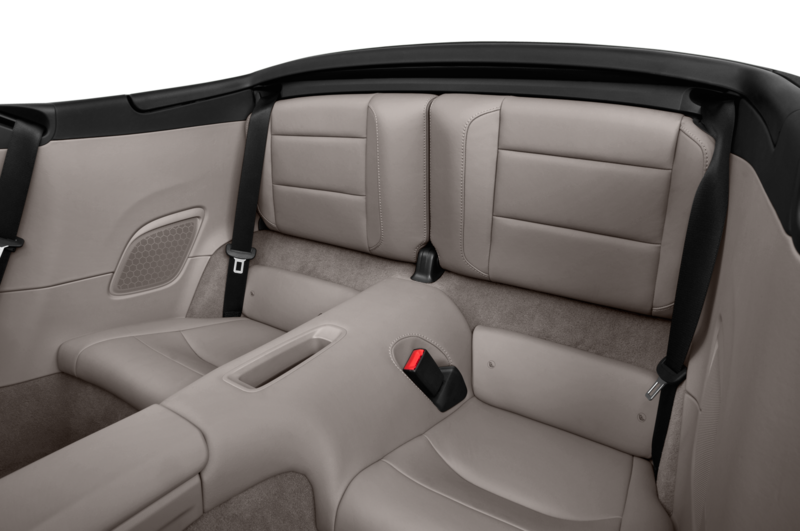 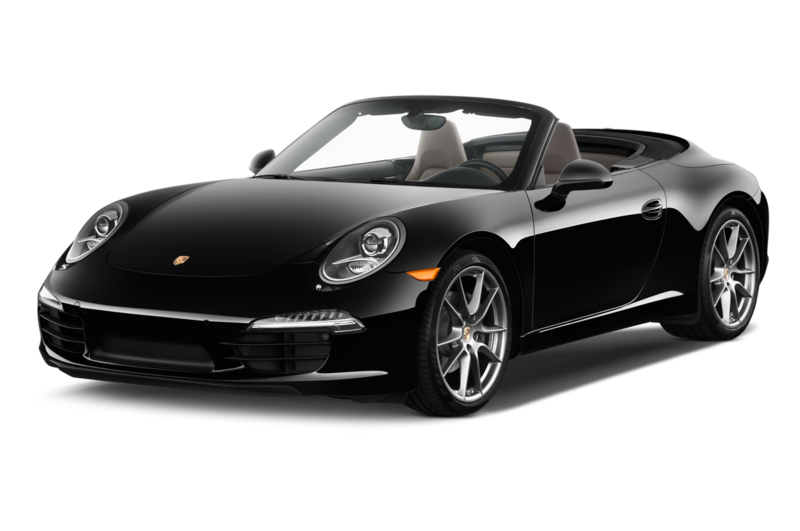 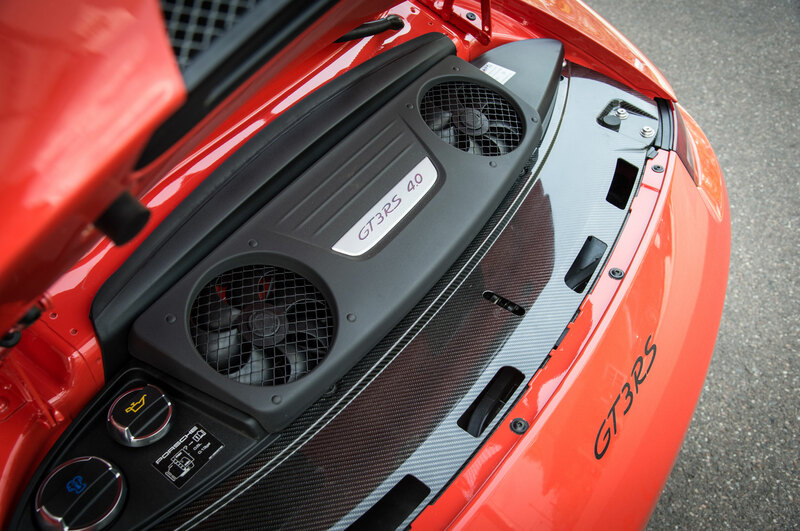 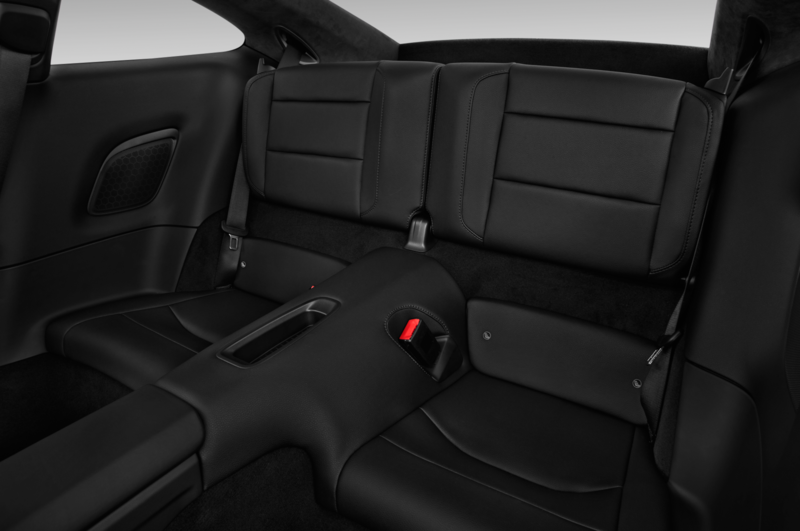 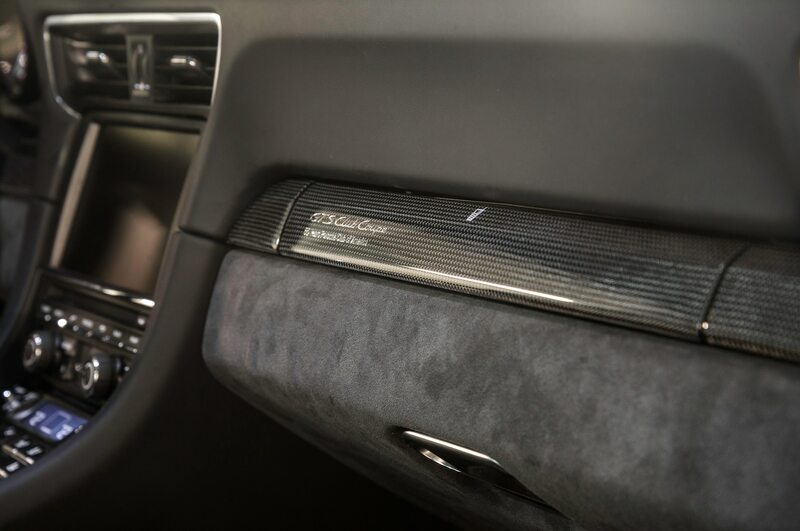 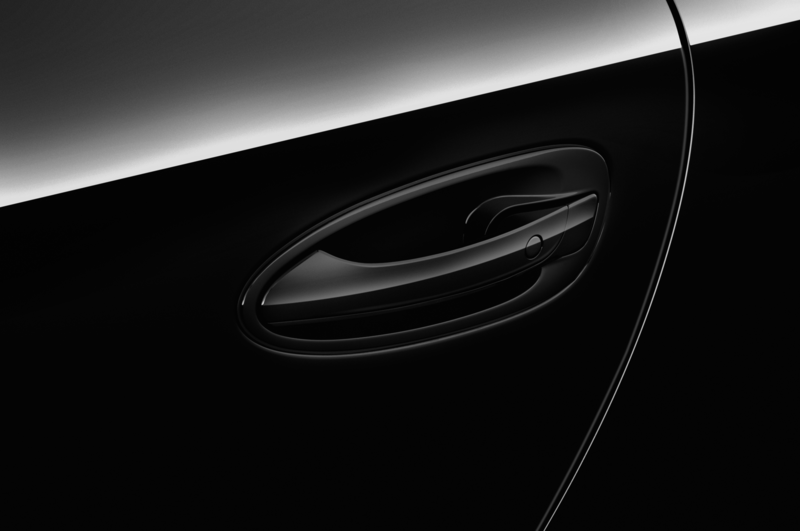 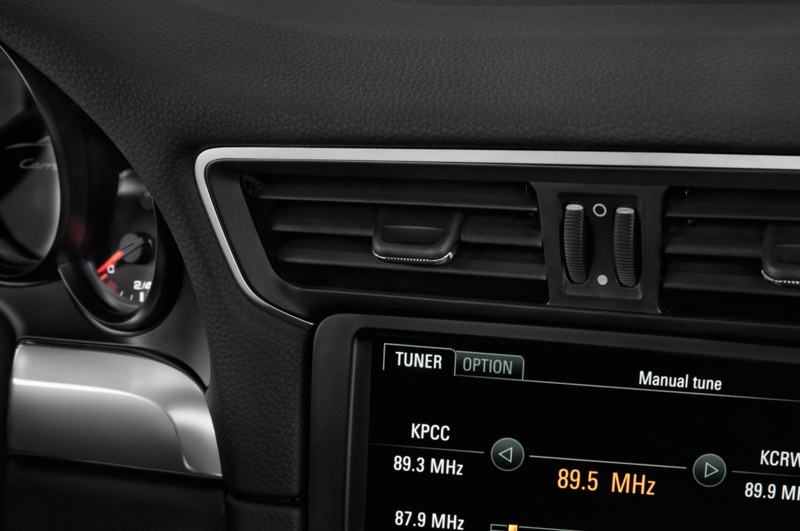 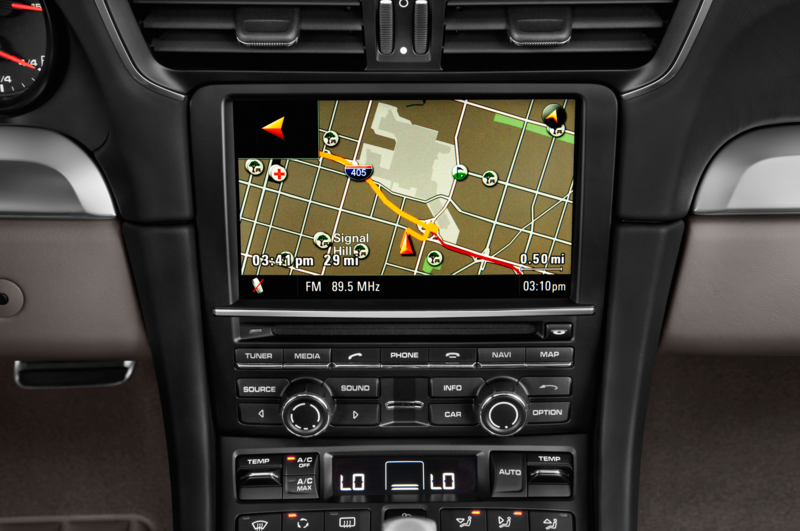 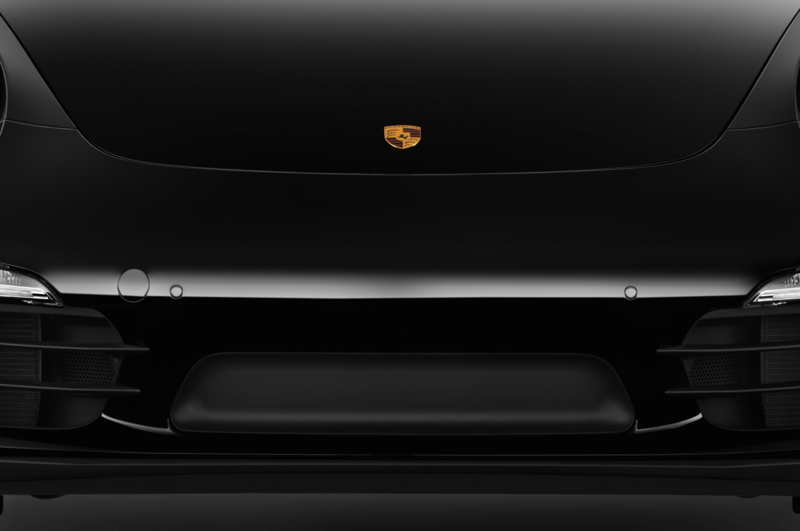 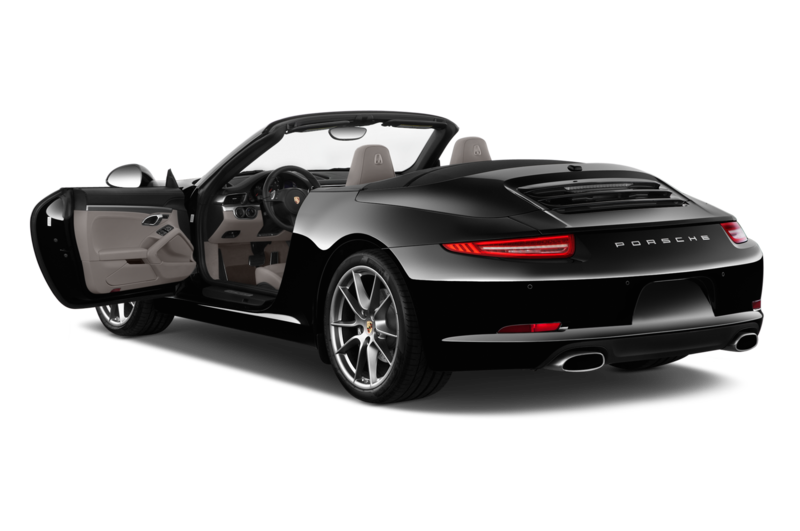 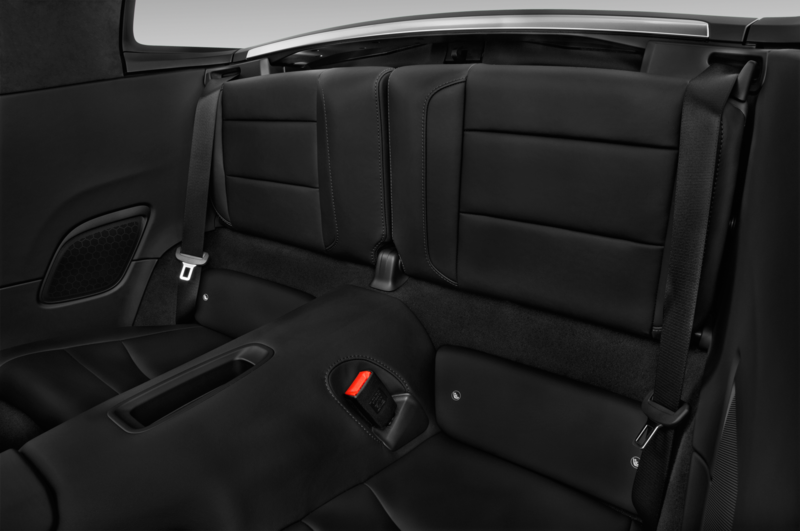 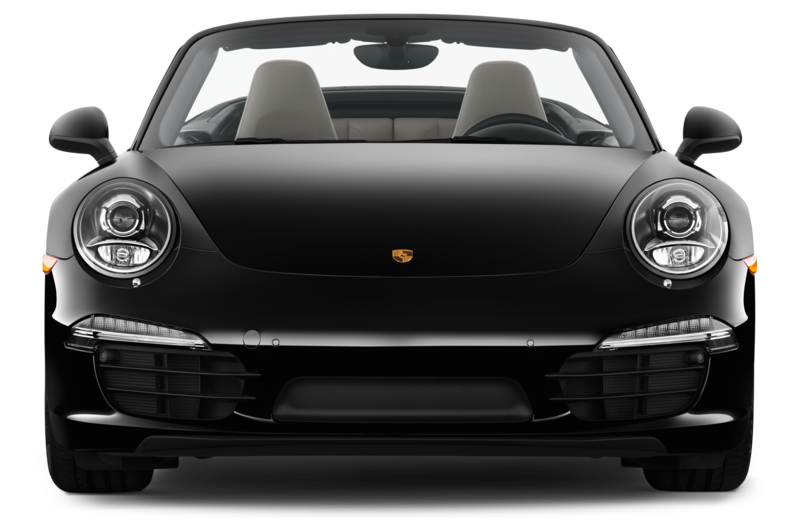 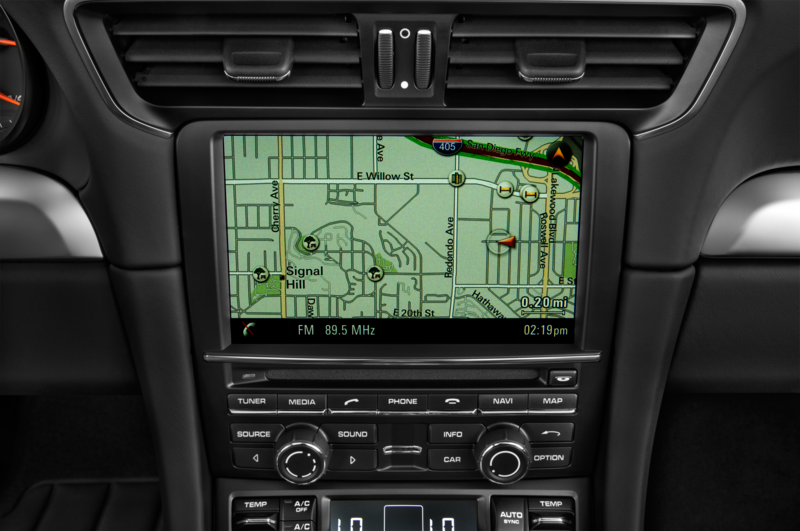 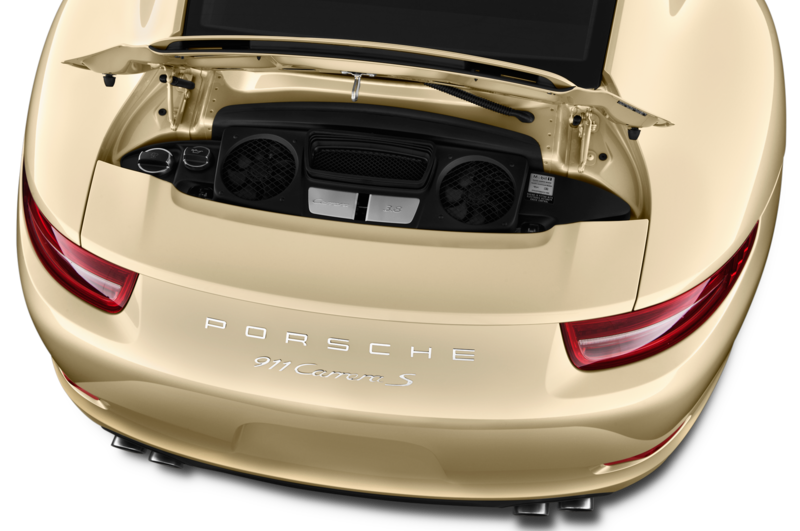 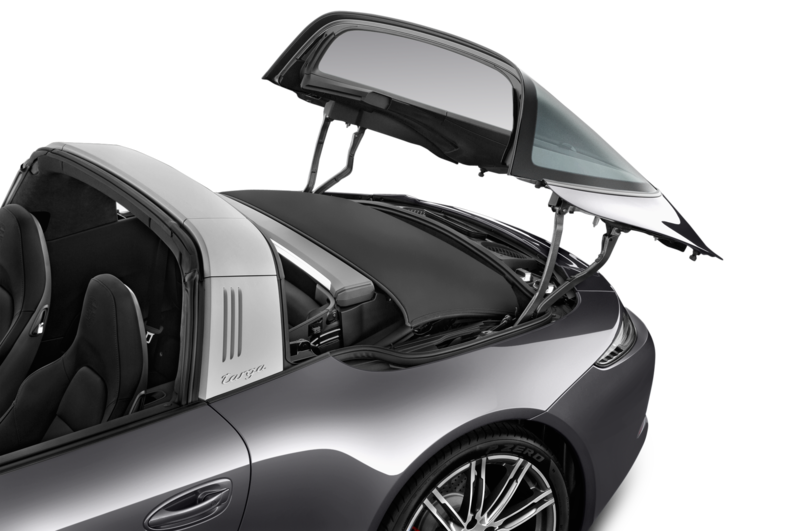 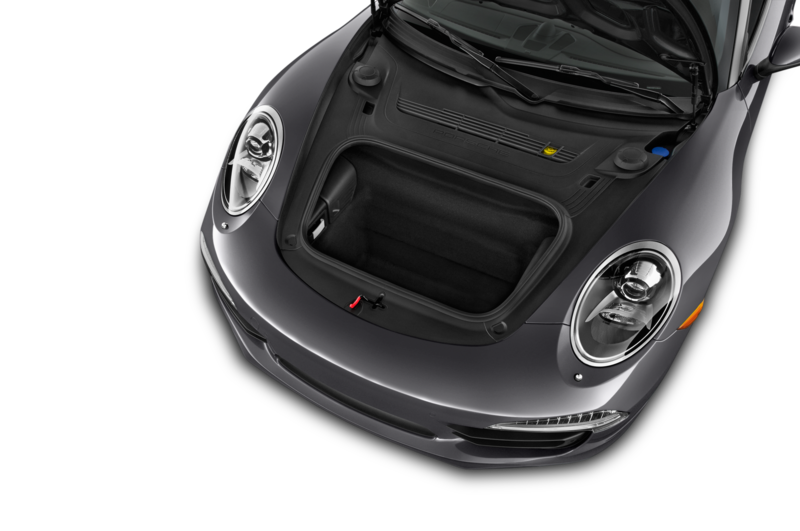 Granted, the output is amplified once again by Porsche’s “sound symposer,” a tube that transfers induction noise into the cabin. 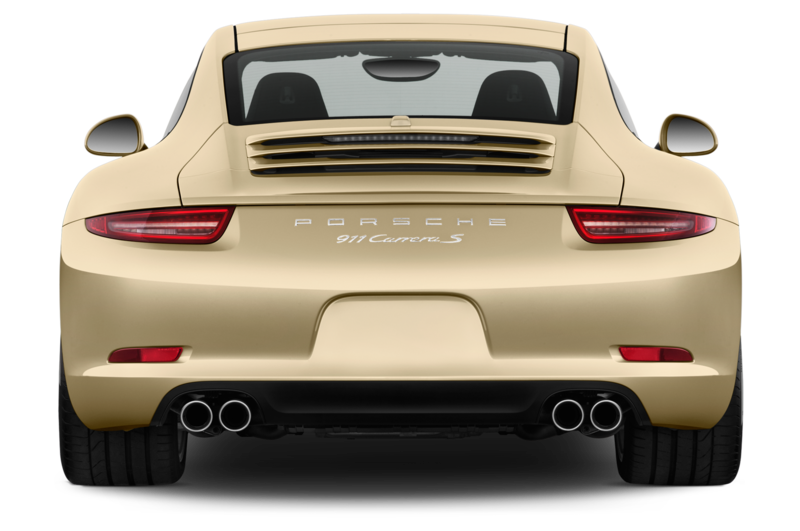 (Note: Thankfully, it is not altered digitally as some manufacturers opt for.) 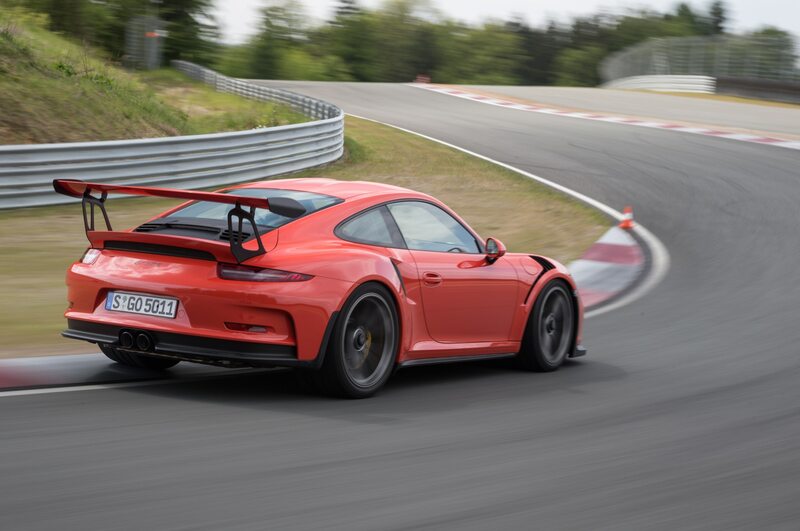 Listening from the pit wall as cars passed by, there was definitely a difference, though it seemed slight, at least without a side-by-side comparison with a normally aspirated 991. 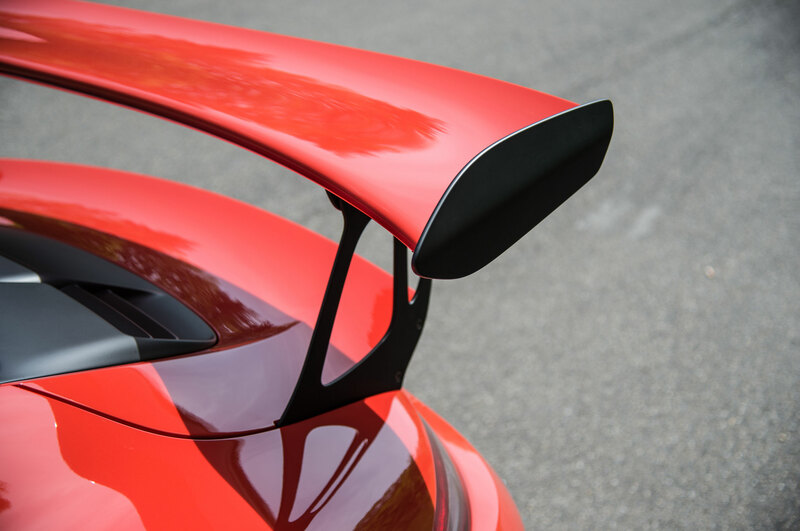 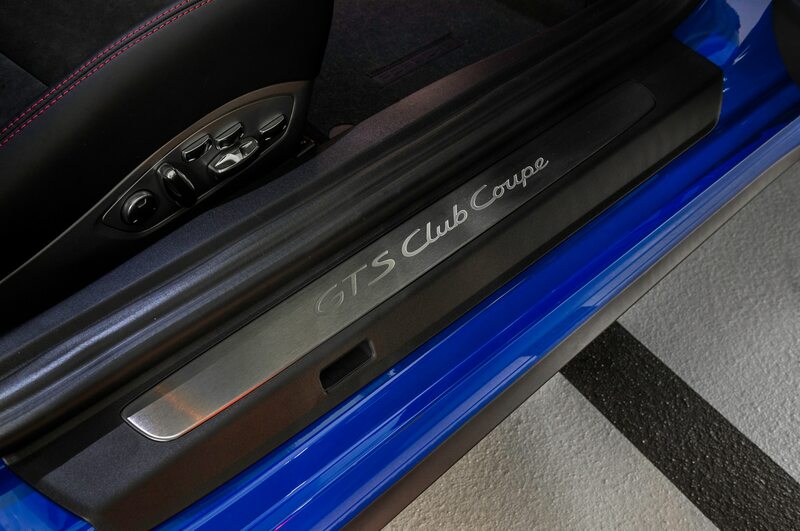 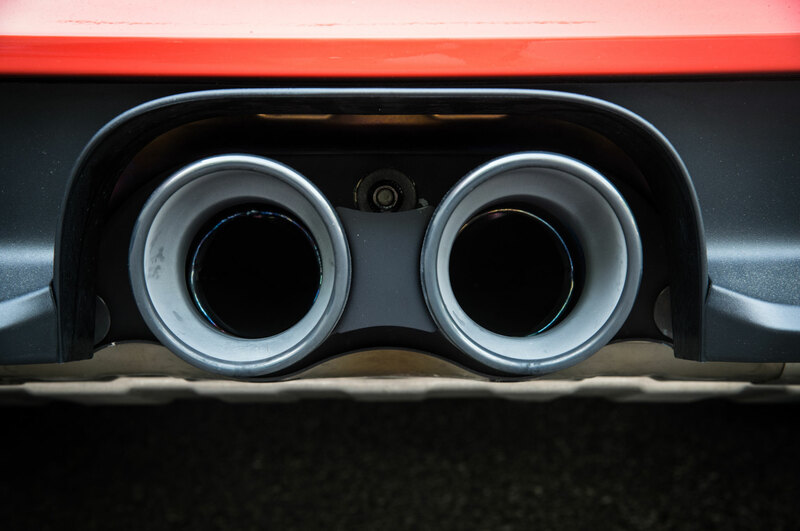 Cars equipped with the sport exhaust gurgled on the overrun as expected, confirming that particular option for the top of our hypothetical list. 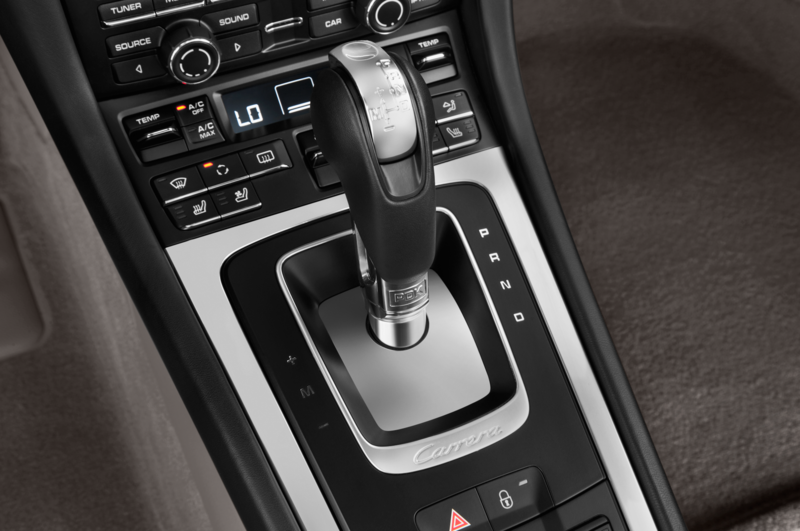 Throttle response appeared solid as Ernst put his foot down, but without a connection between our own right foot and pedal, its immediacy remains unknown. 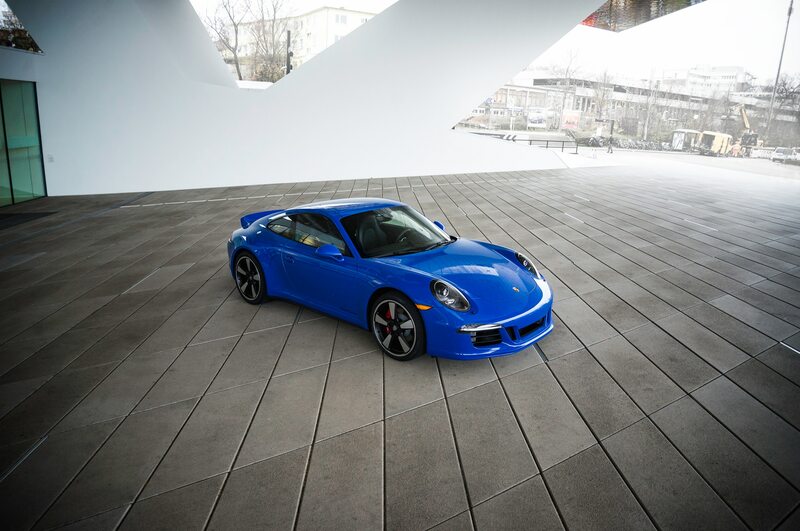 The 3.0’s extra torque was evident, especially when the car pulled well from 45 mph in fourth gear as our driver demonstrated the engine’s flexibility, and indeed the torque curve shows the Carrera S’s maximum 368-lb-ft available between 1,700-5,000 rpm before falling off gradually as horsepower builds smoothly to 420 at 6,500 rpm. 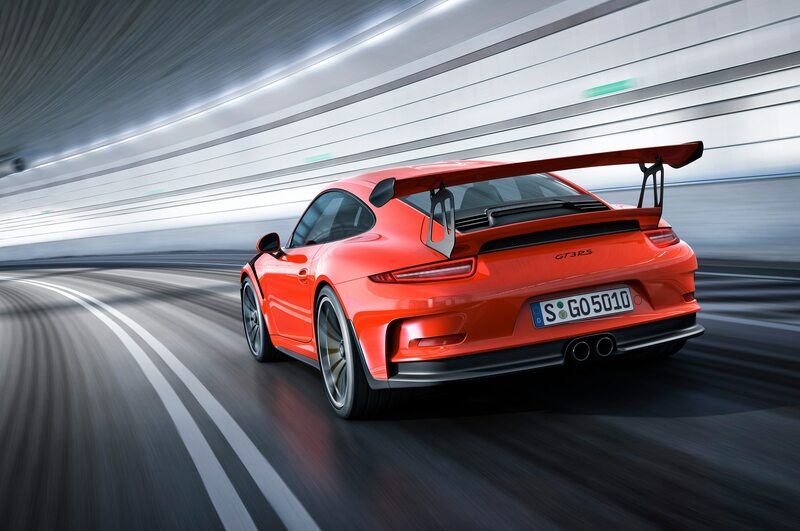 Our only burning question is, how long of a delay exists when you bang the throttle open from a fully or almost closed position at exceptionally low revs? 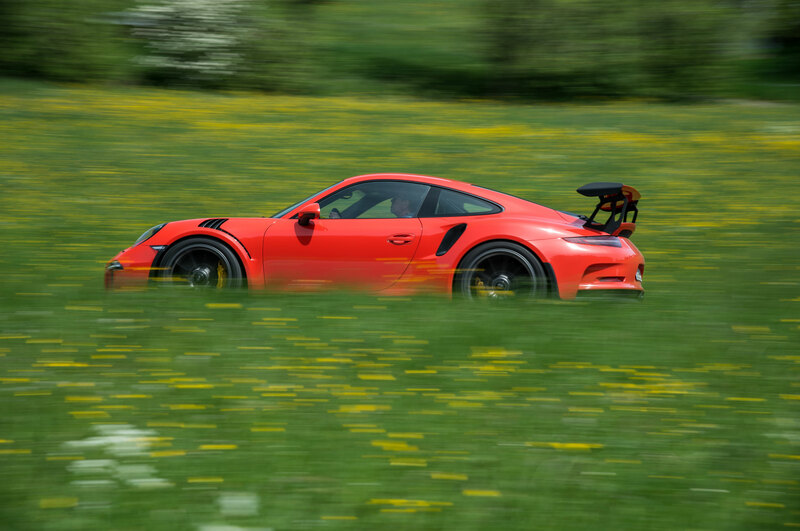 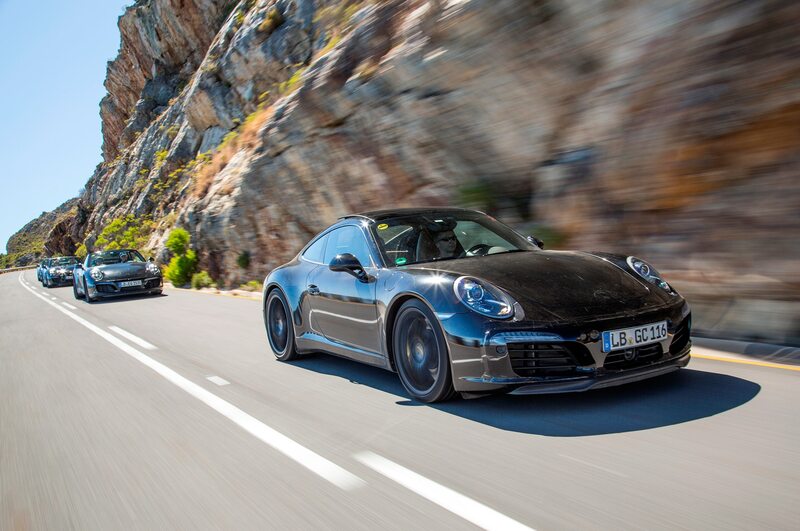 Regardless, with the flat-six rumbling as Ernst kept it in the mid- to high-range, we experienced nothing to indicate these new forced-induction 911s have lost their way.